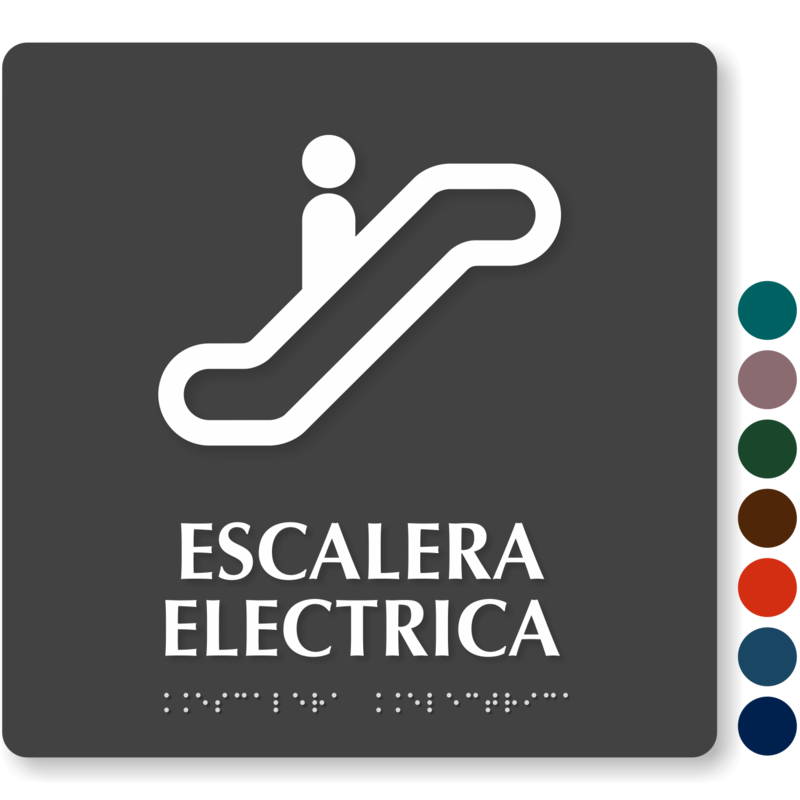 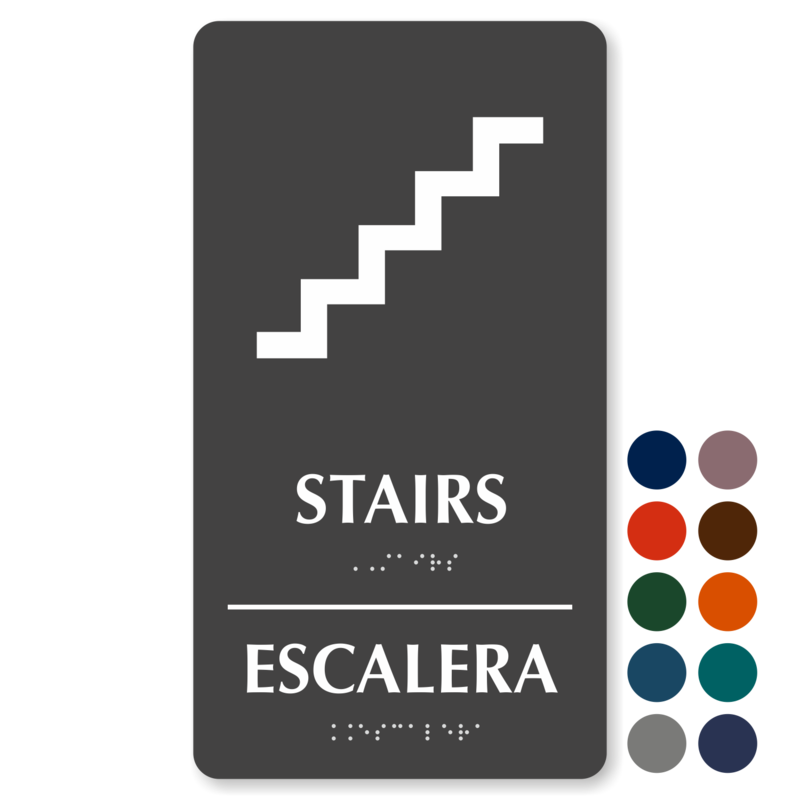 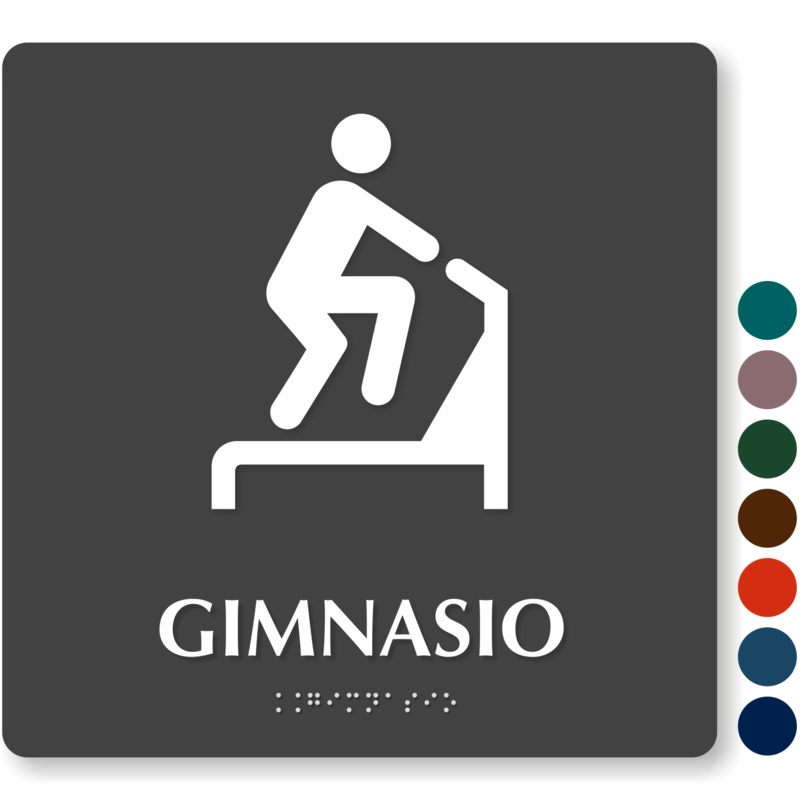 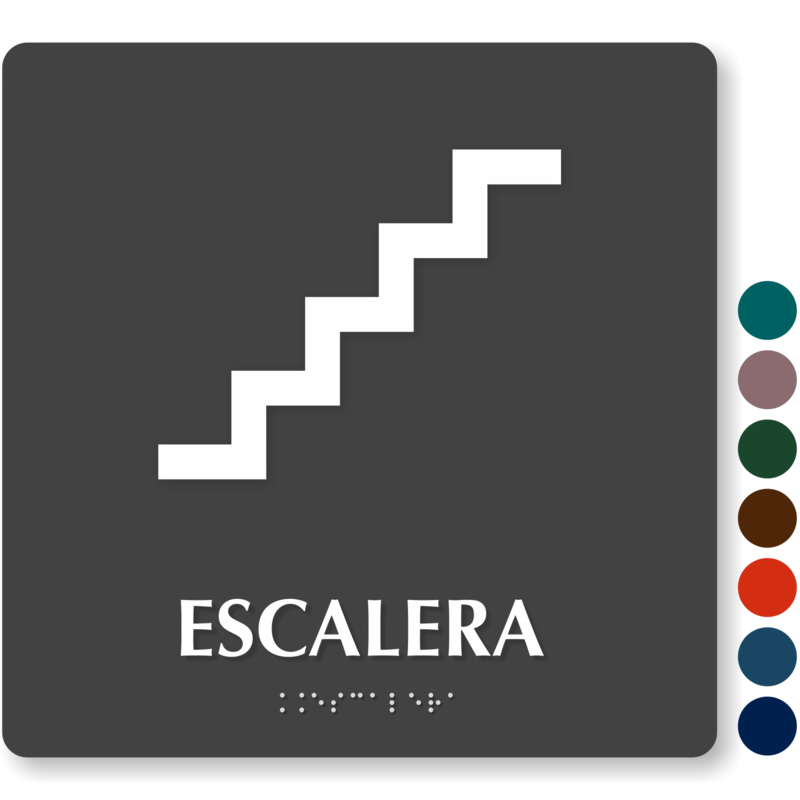 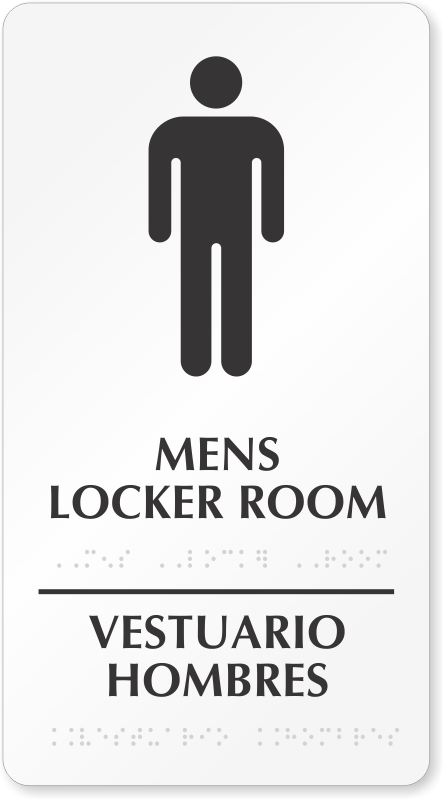 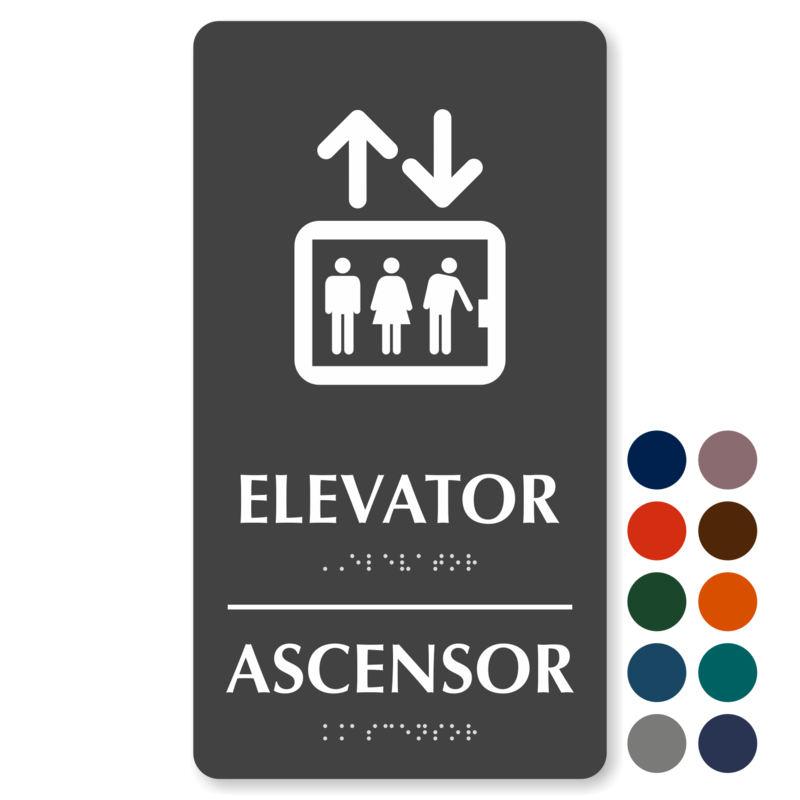 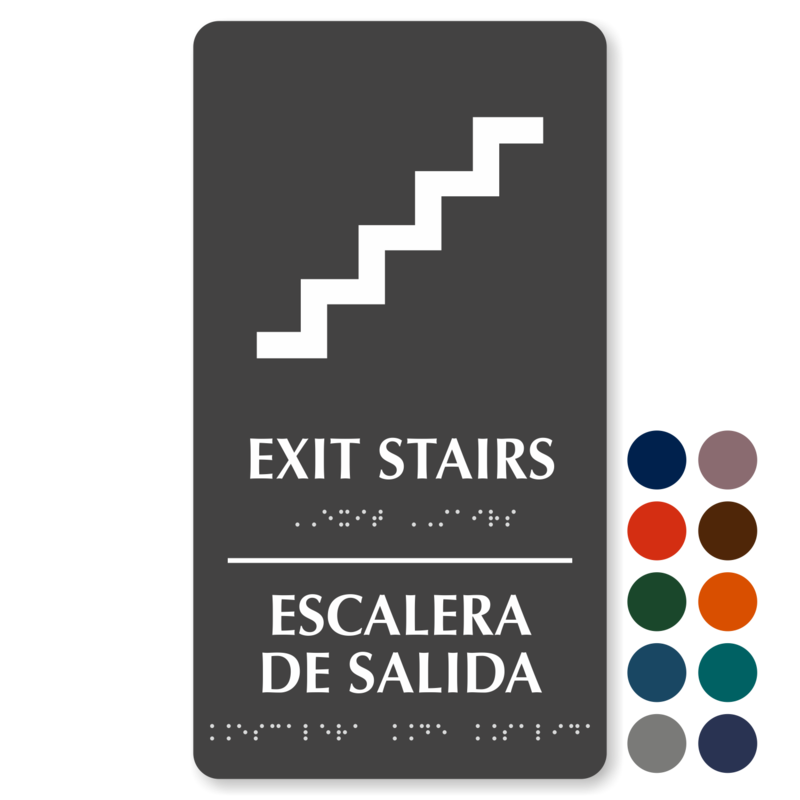 Bilingual Braille Signs ensure that everyone navigates your facility easily. 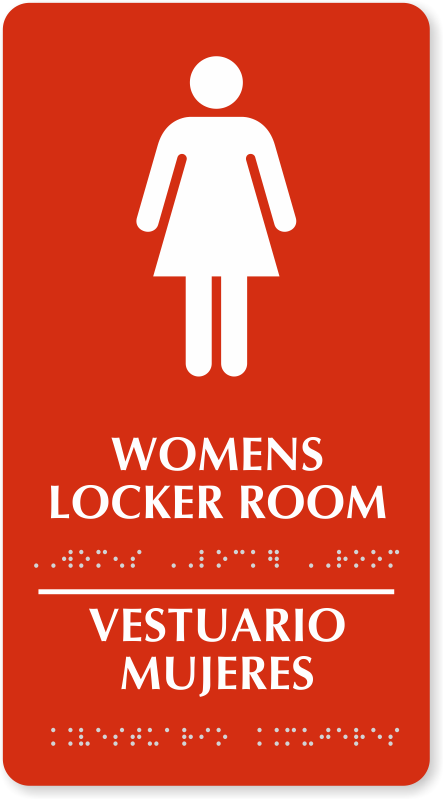 Grade II Braille featured on the signs complies with the ADA regulations and aids the visually impaired to spot the desired location easily. 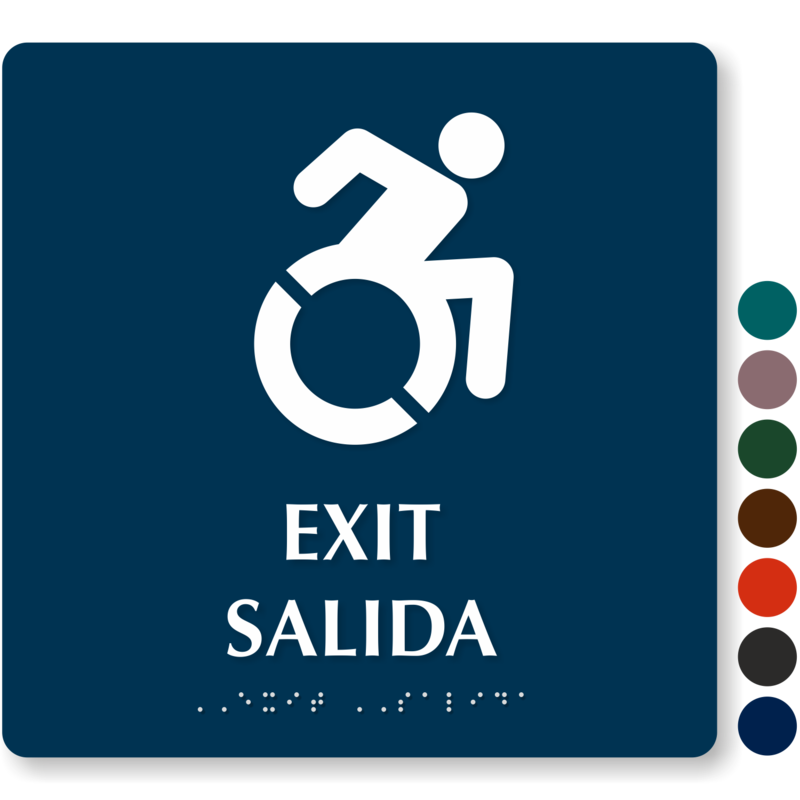 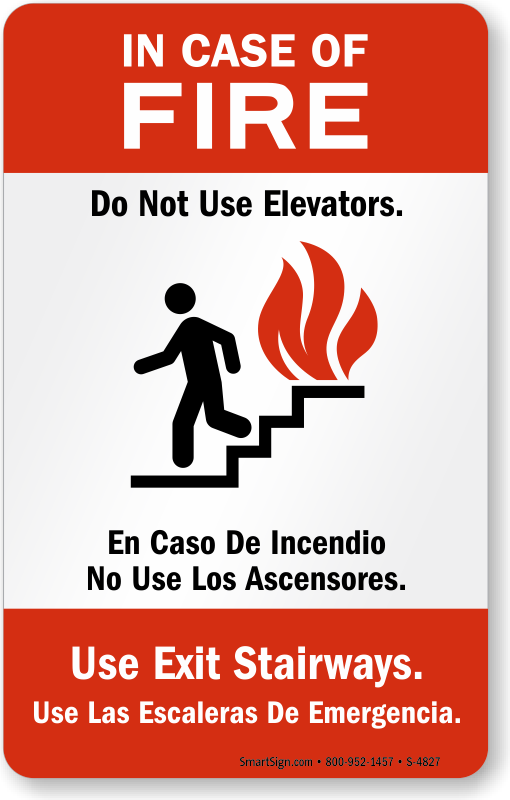 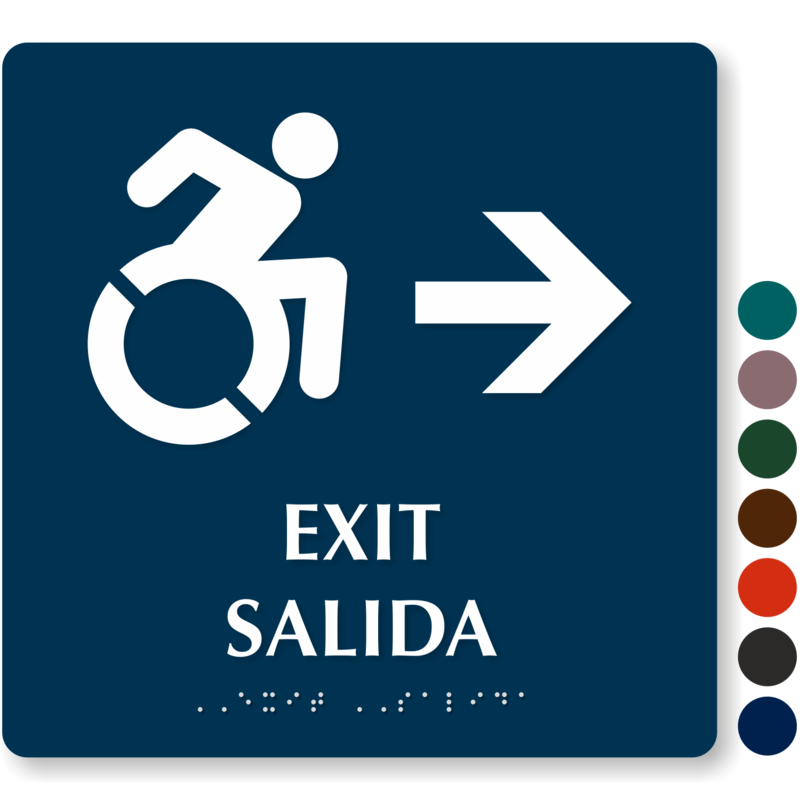 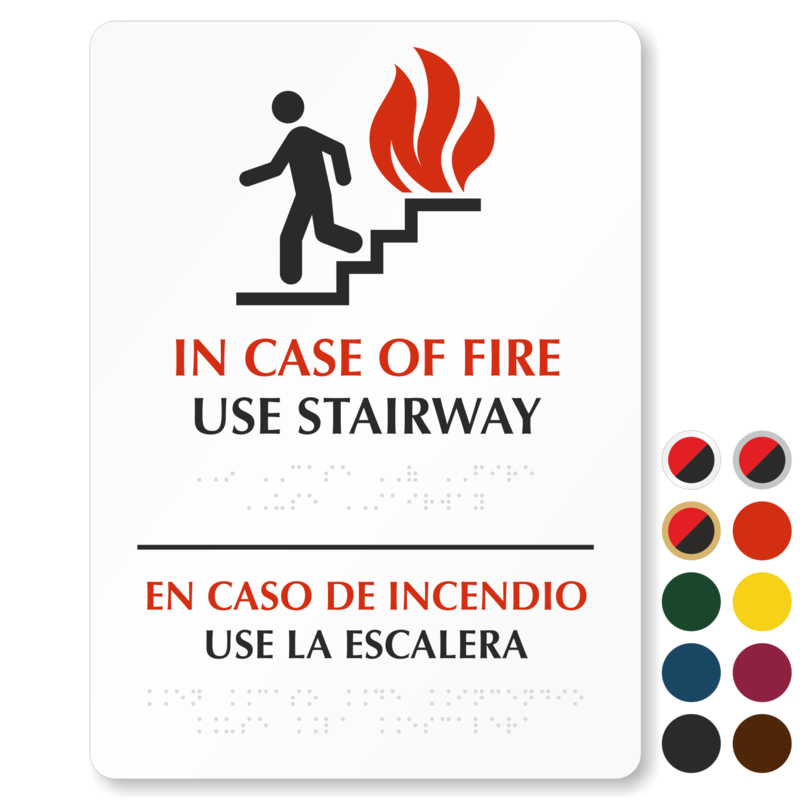 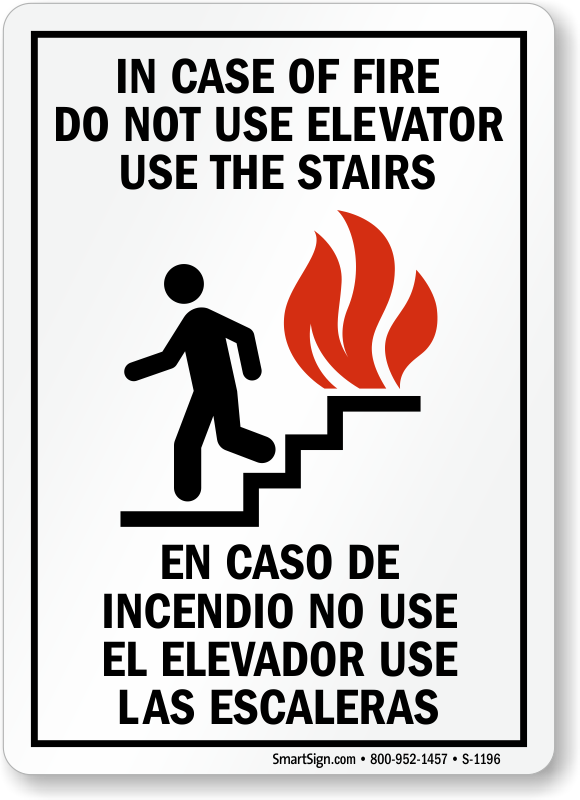 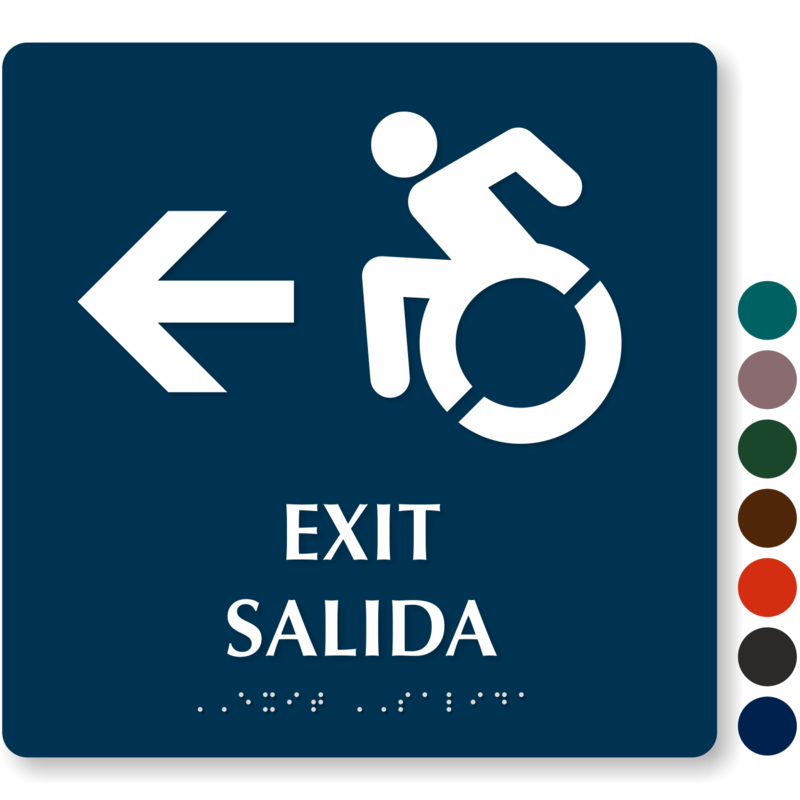 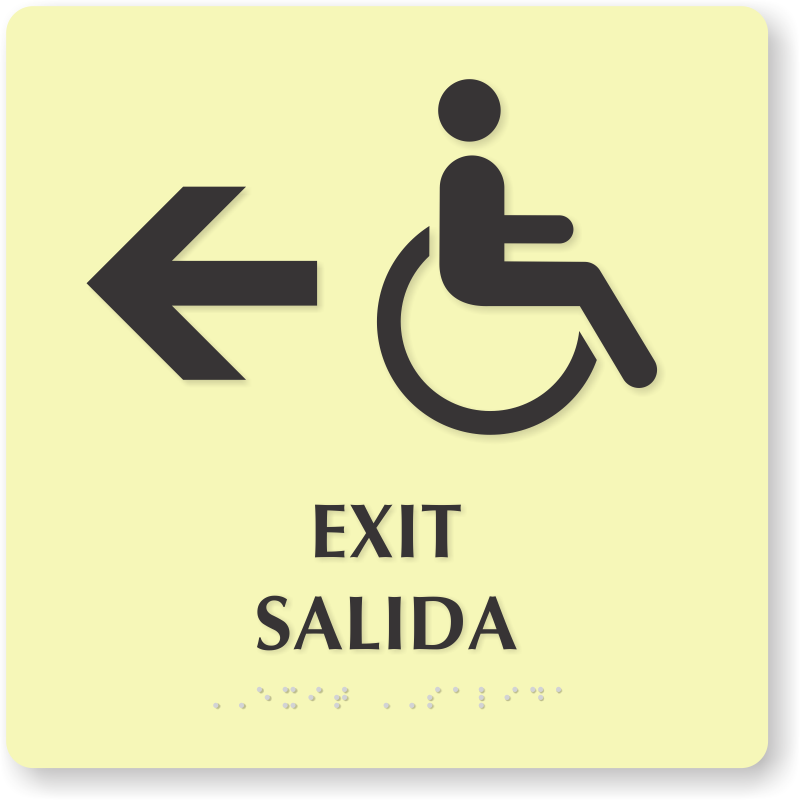 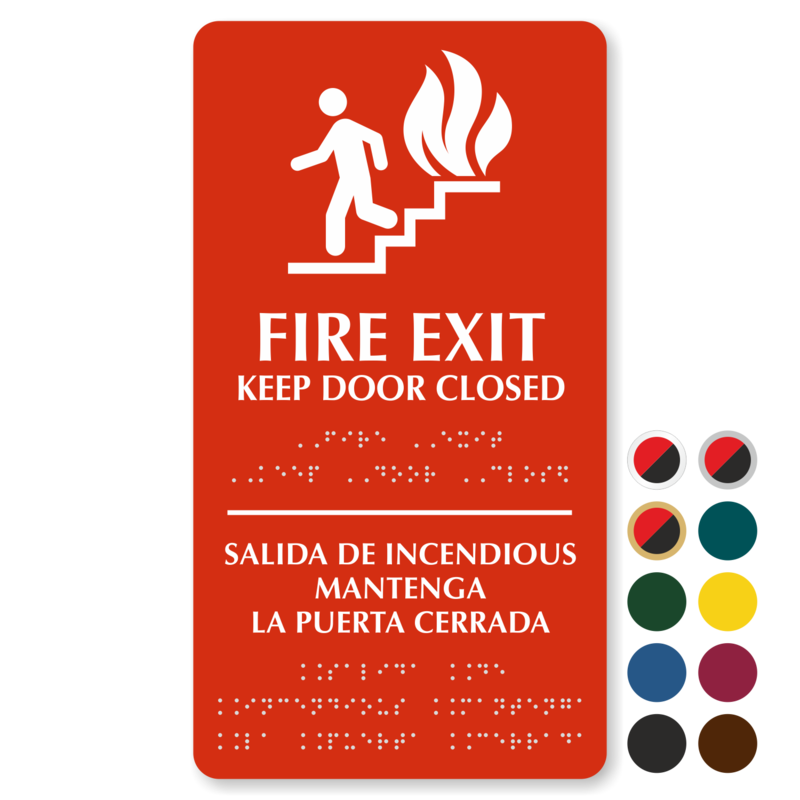 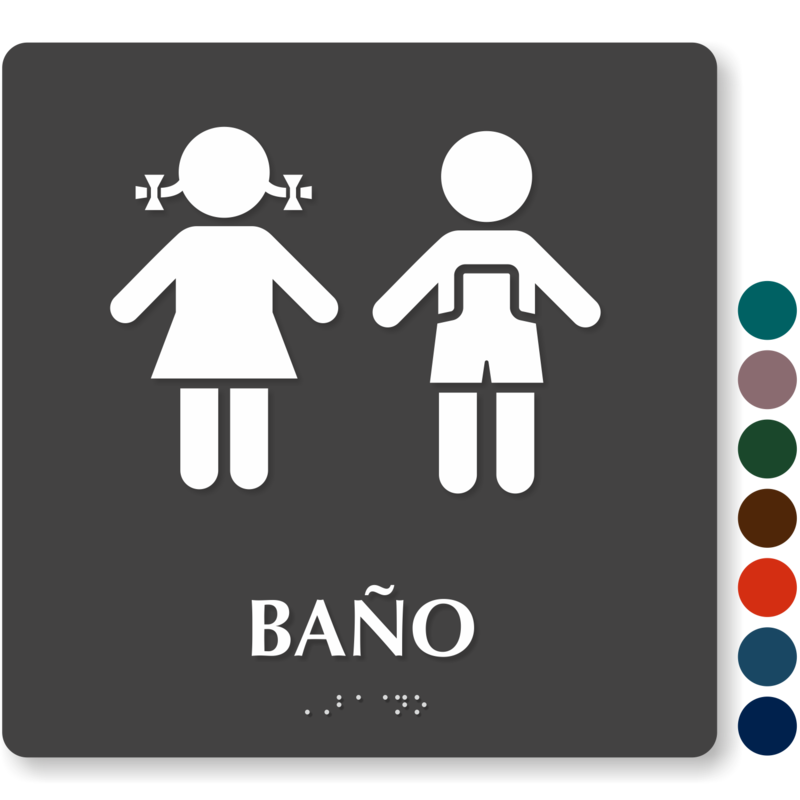 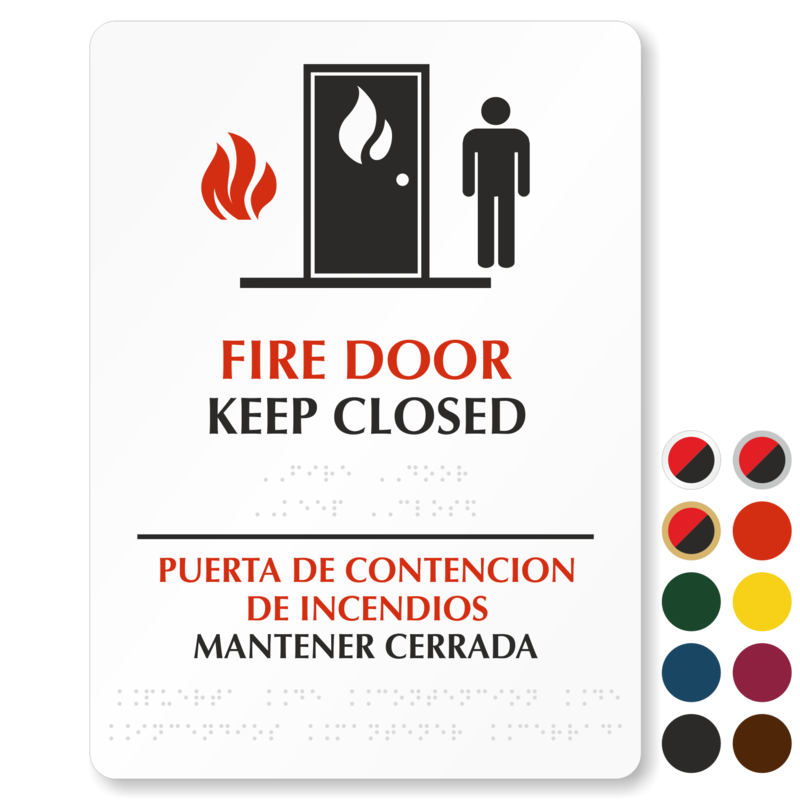 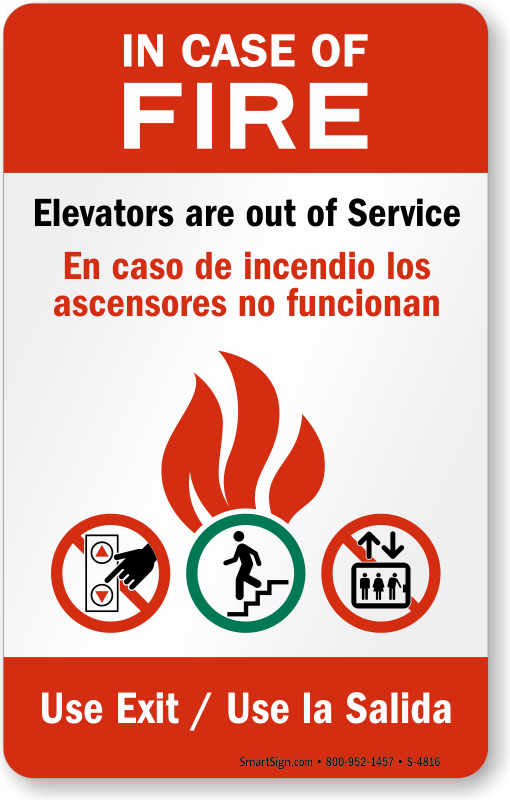 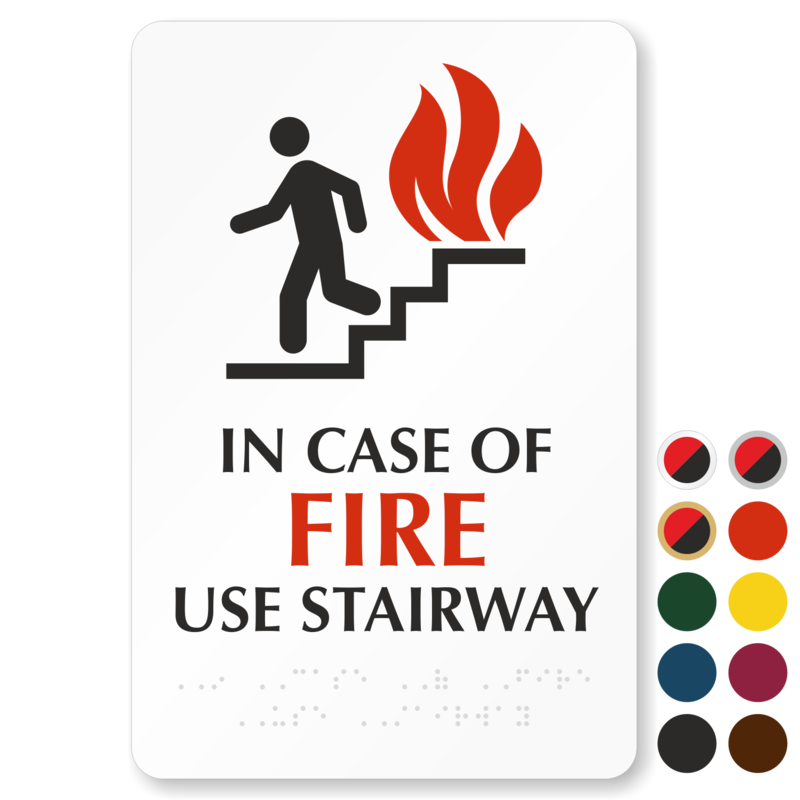 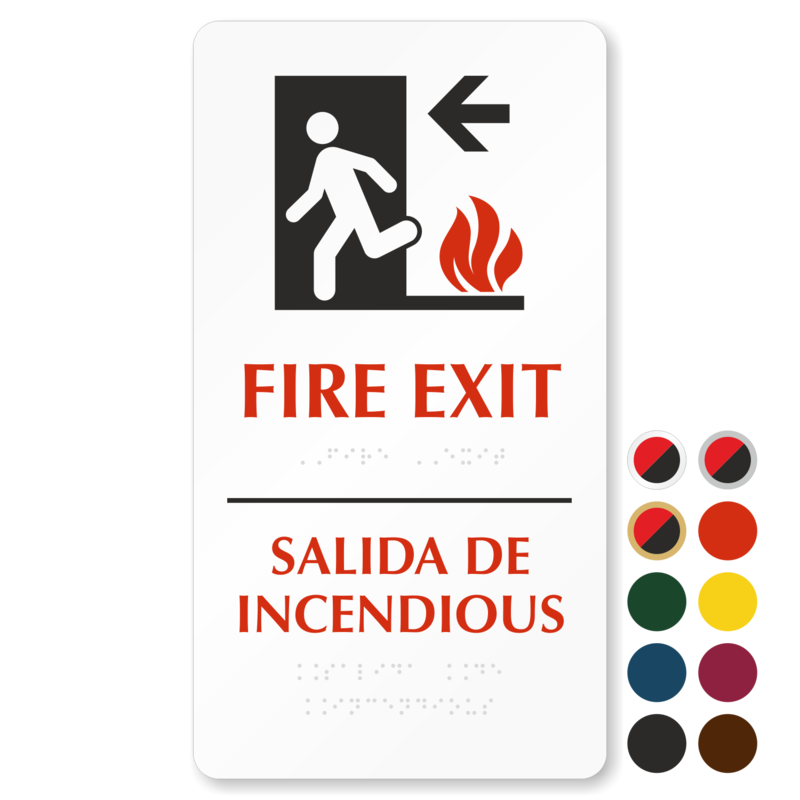 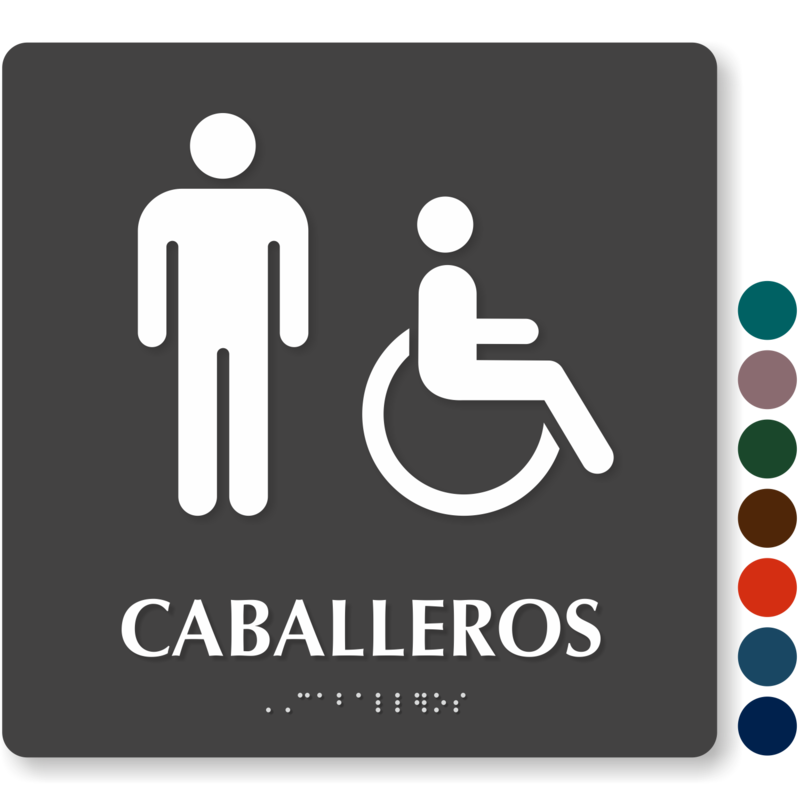 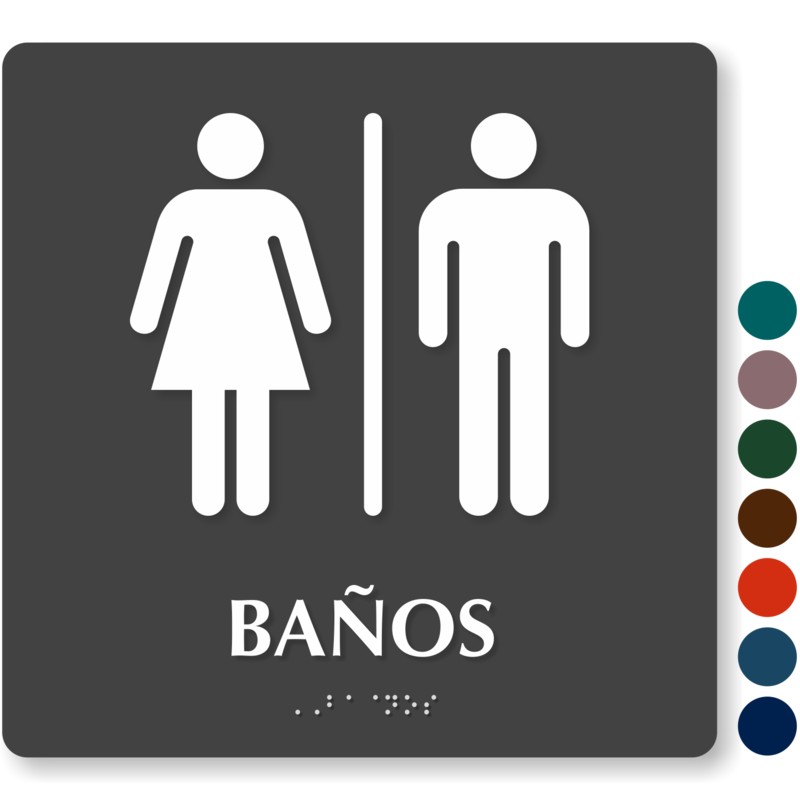 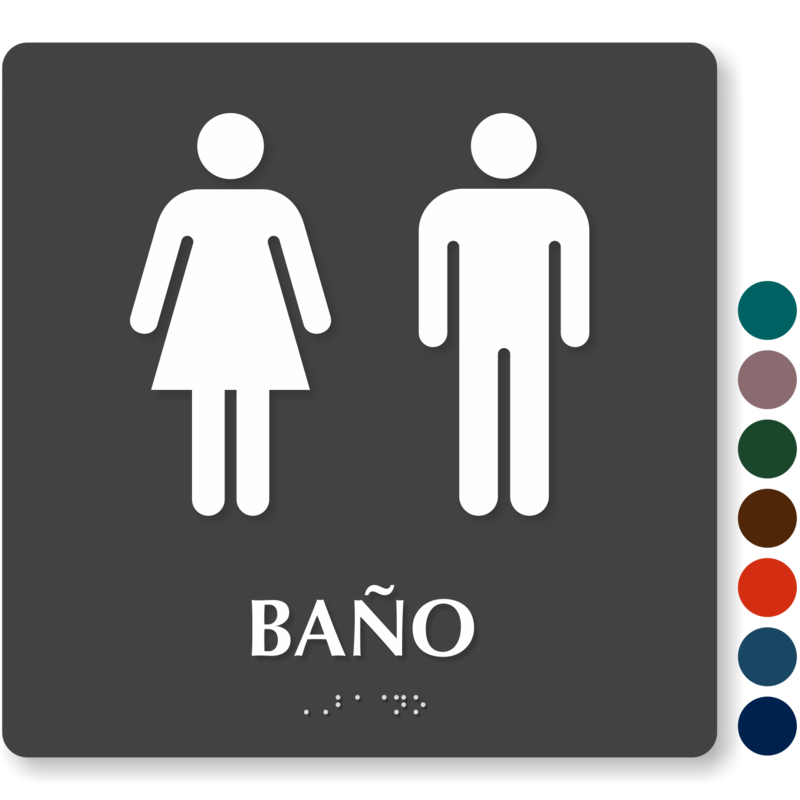 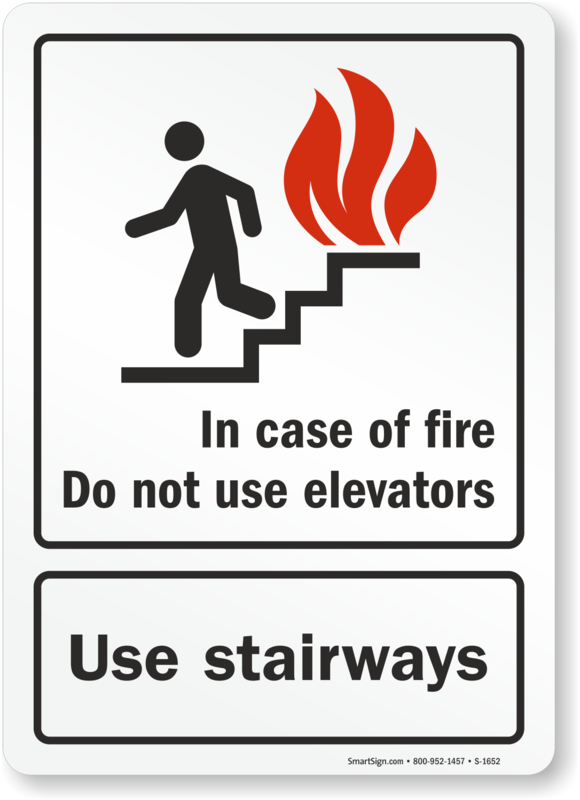 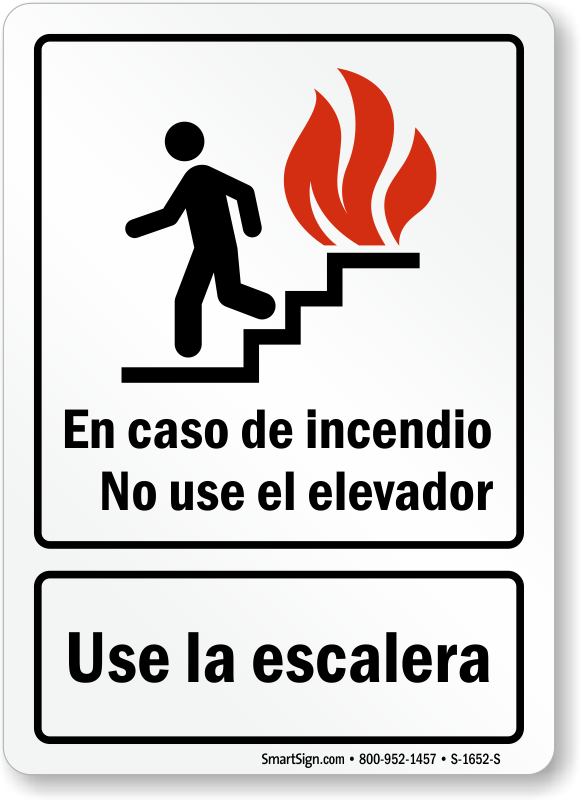 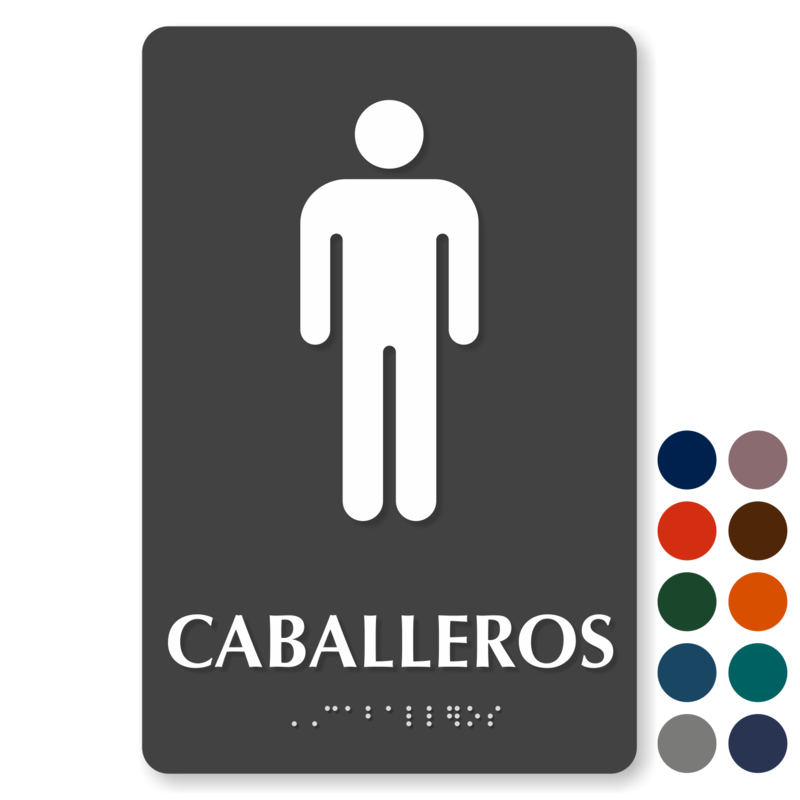 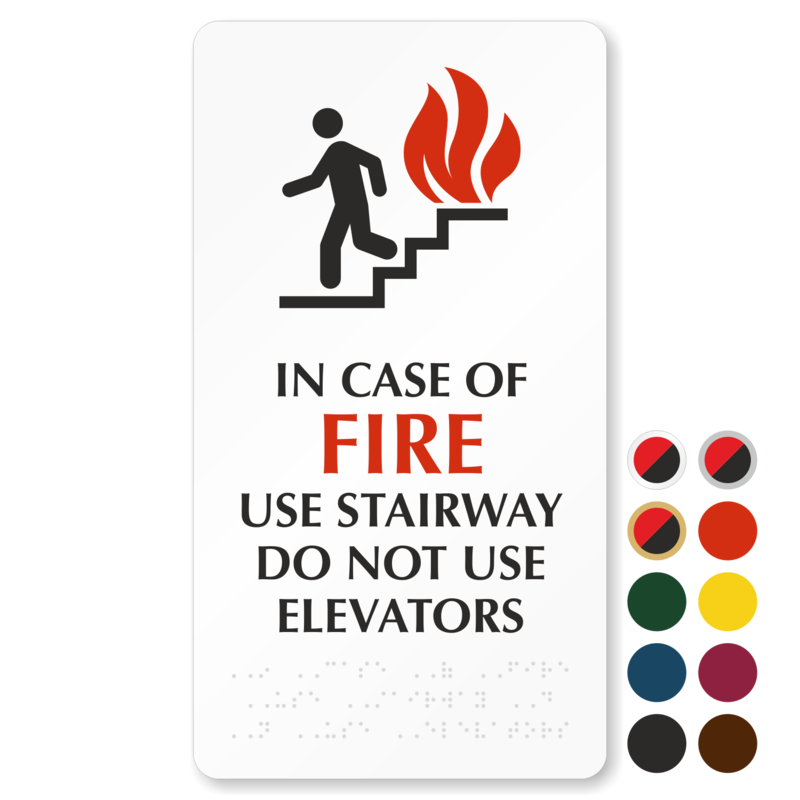 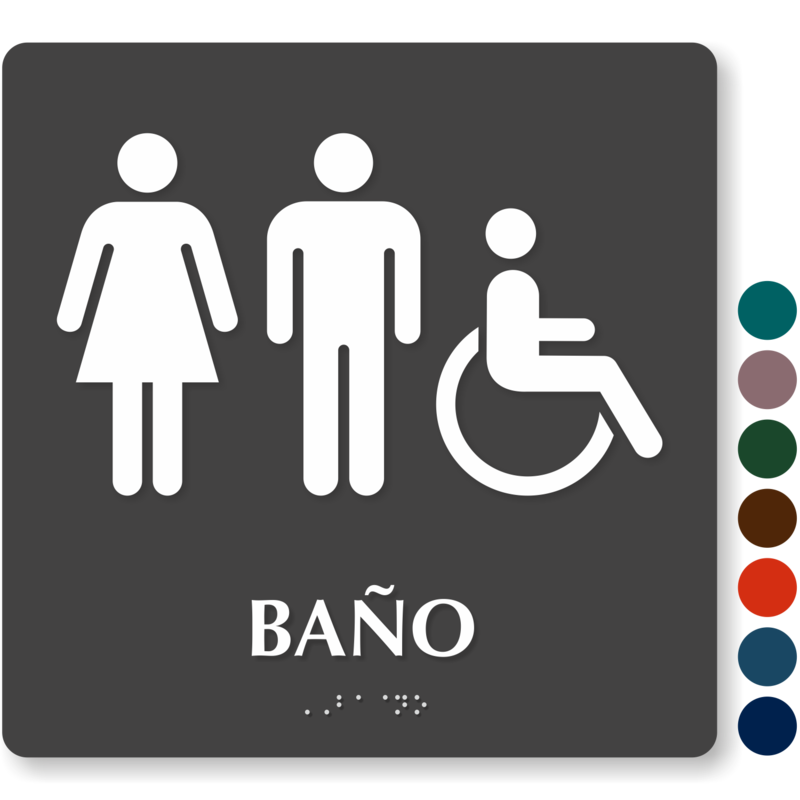 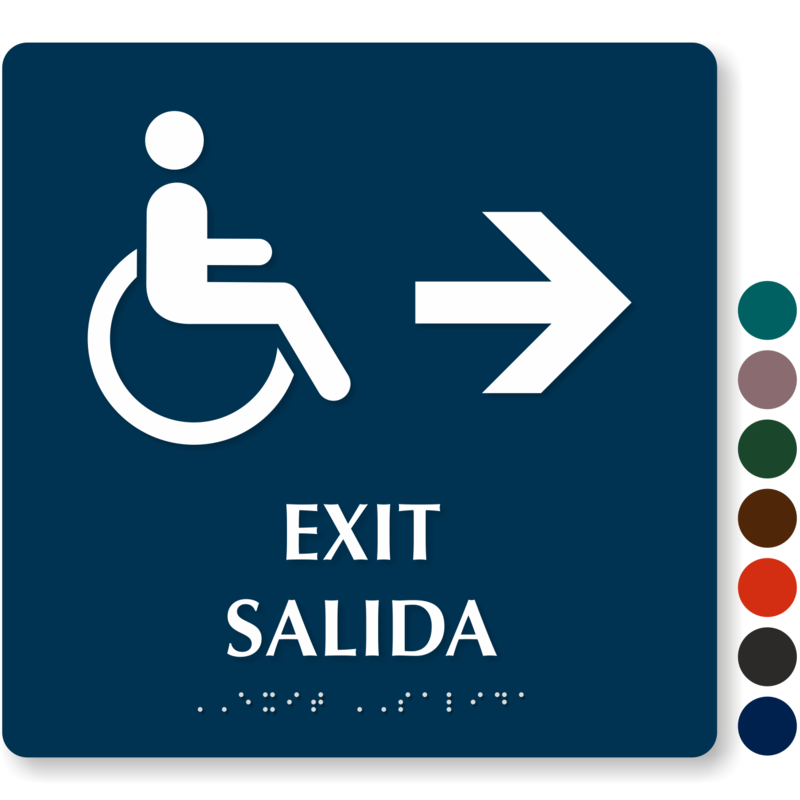 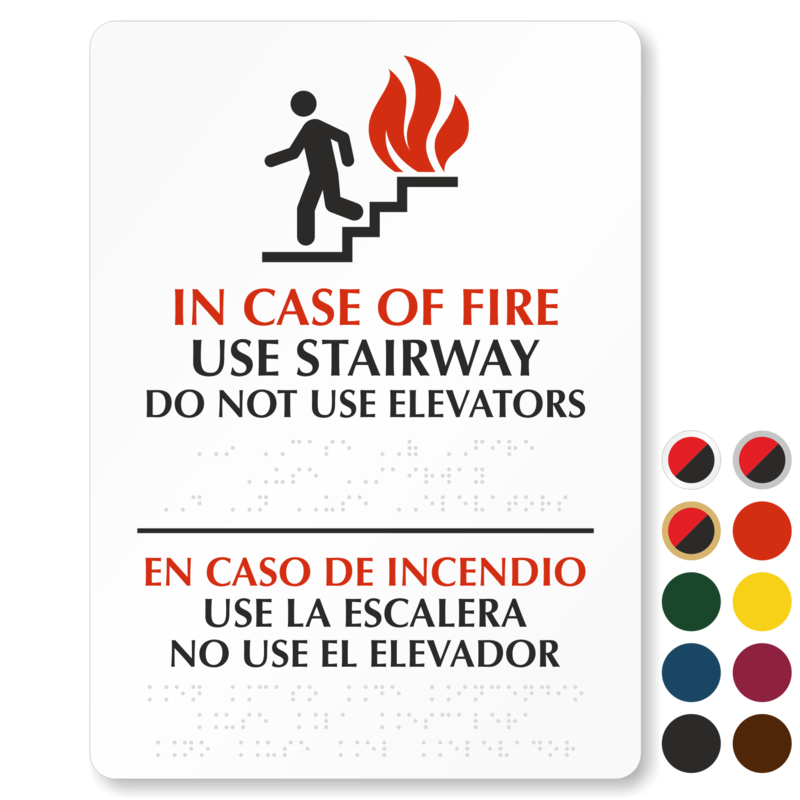 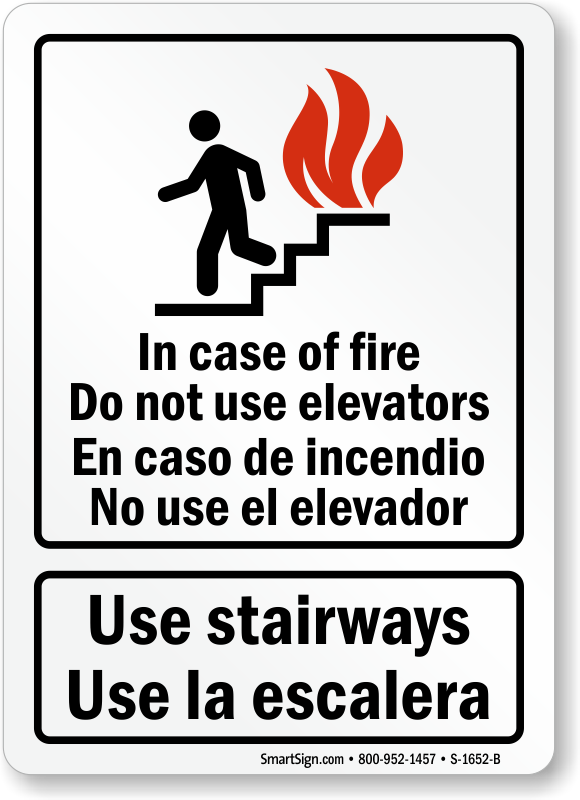 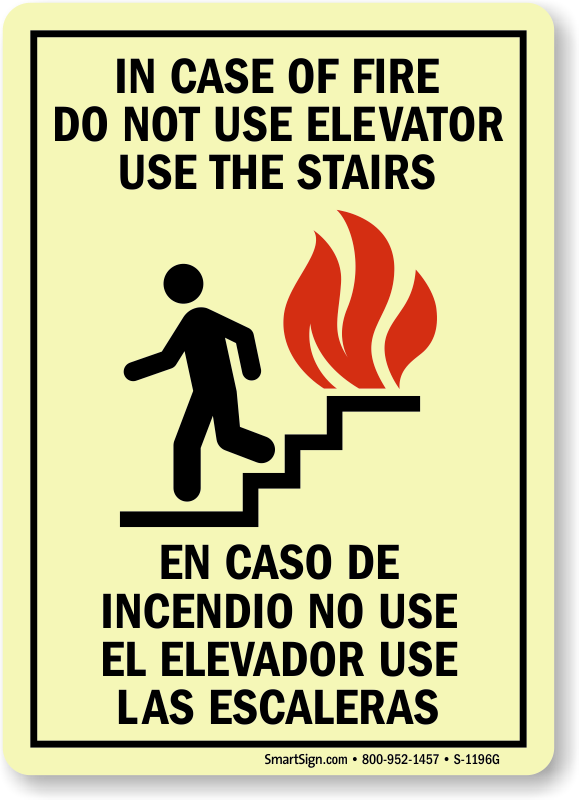 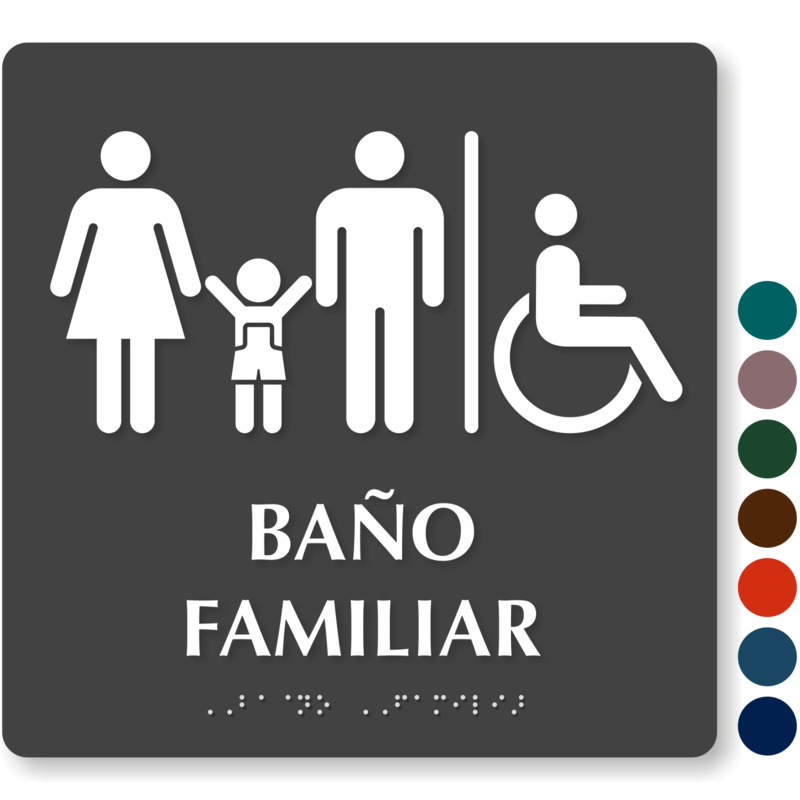 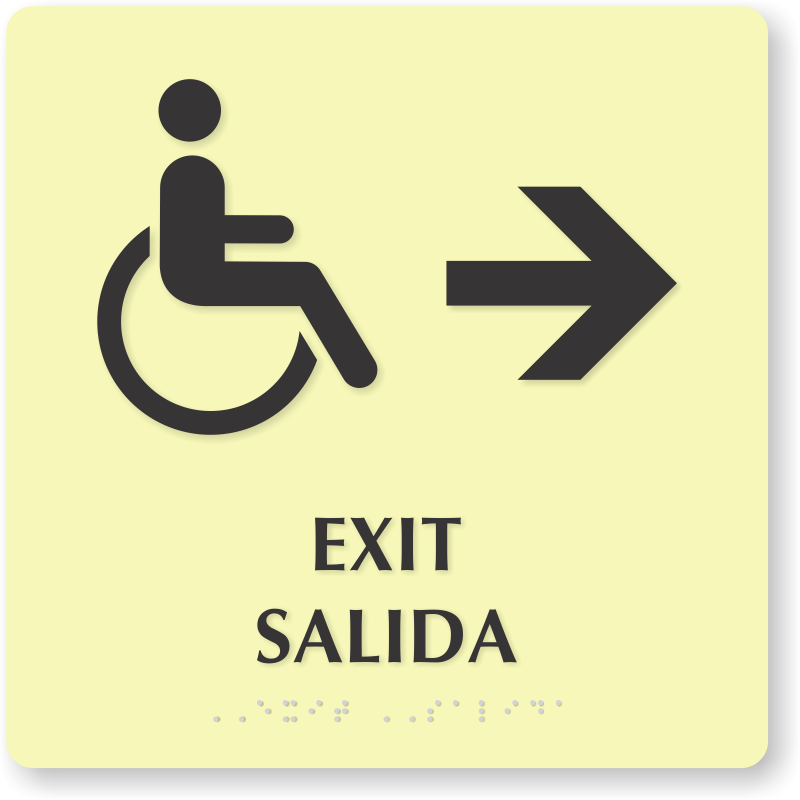 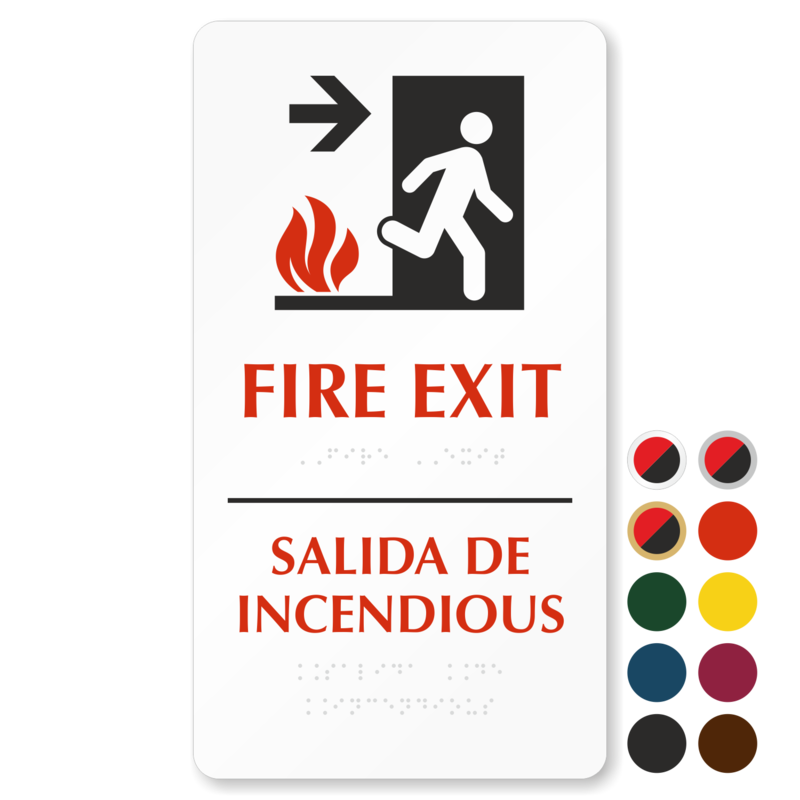 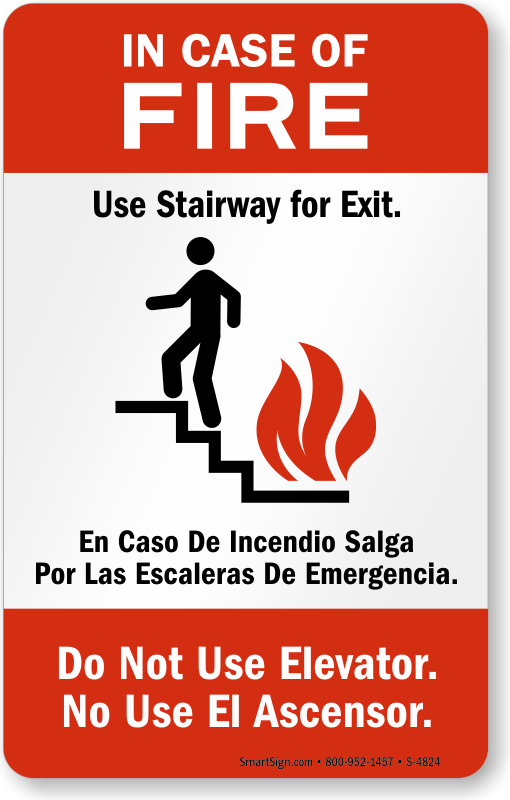 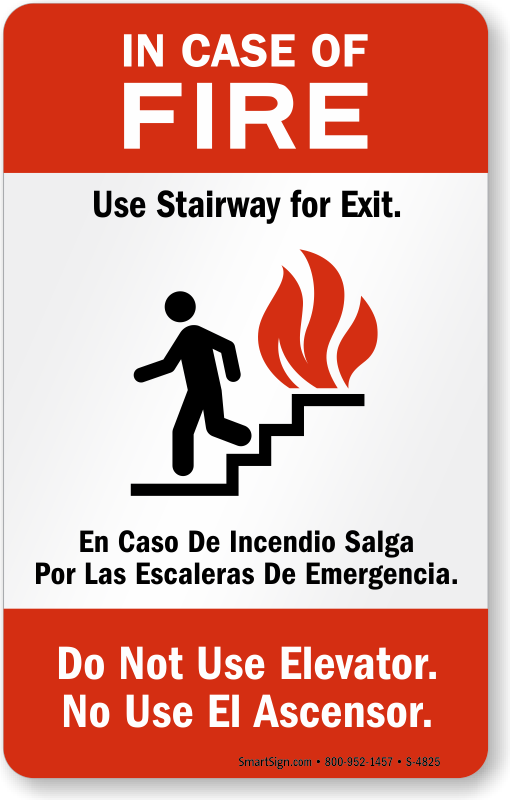 • Our range of Bilingual Braille Signs includes bathroom signs, in case of fire signs, exit signs and more. 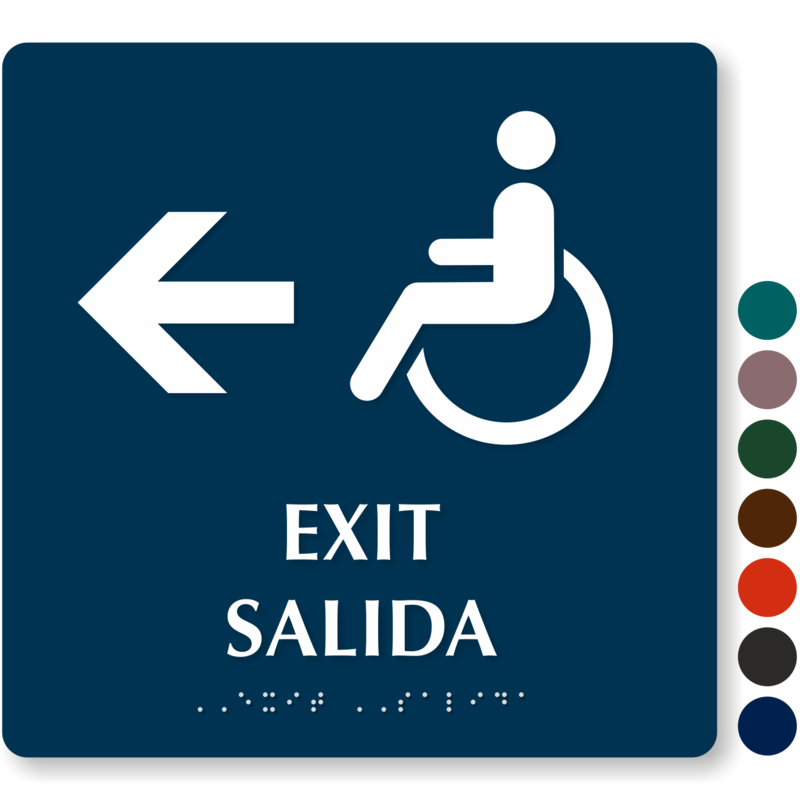 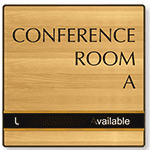 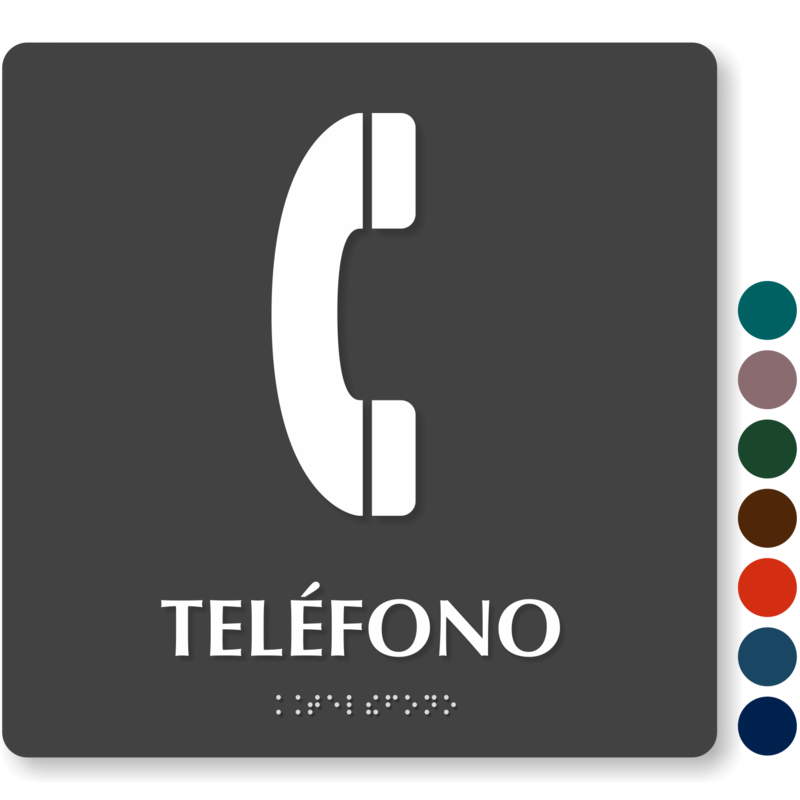 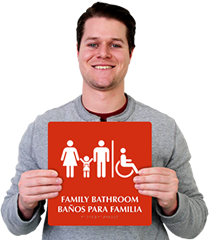 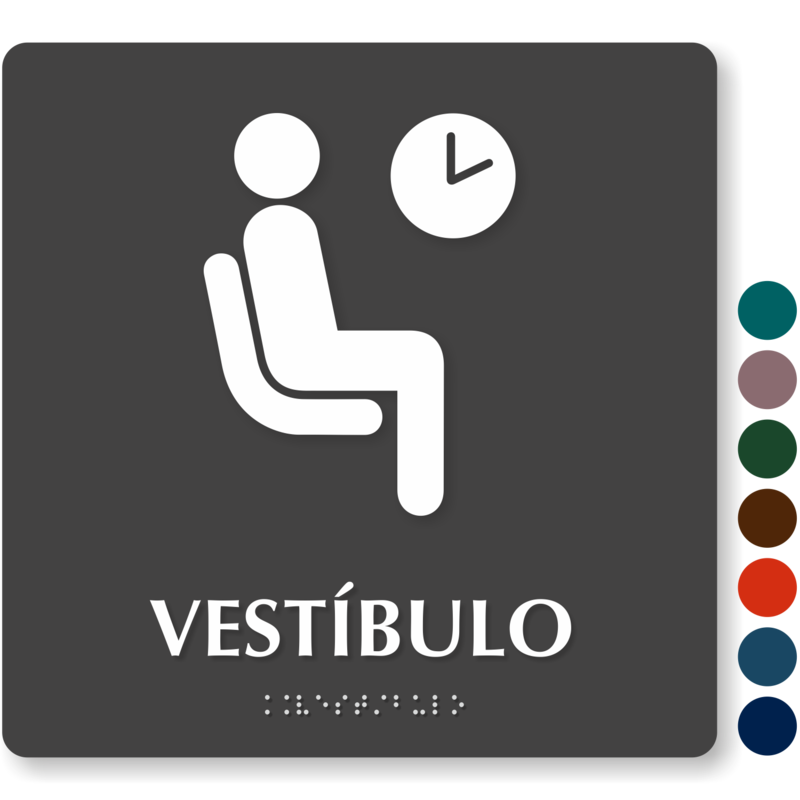 • All signs feature relevant and universally recognizable pictograms that makes sign comprehension easier. 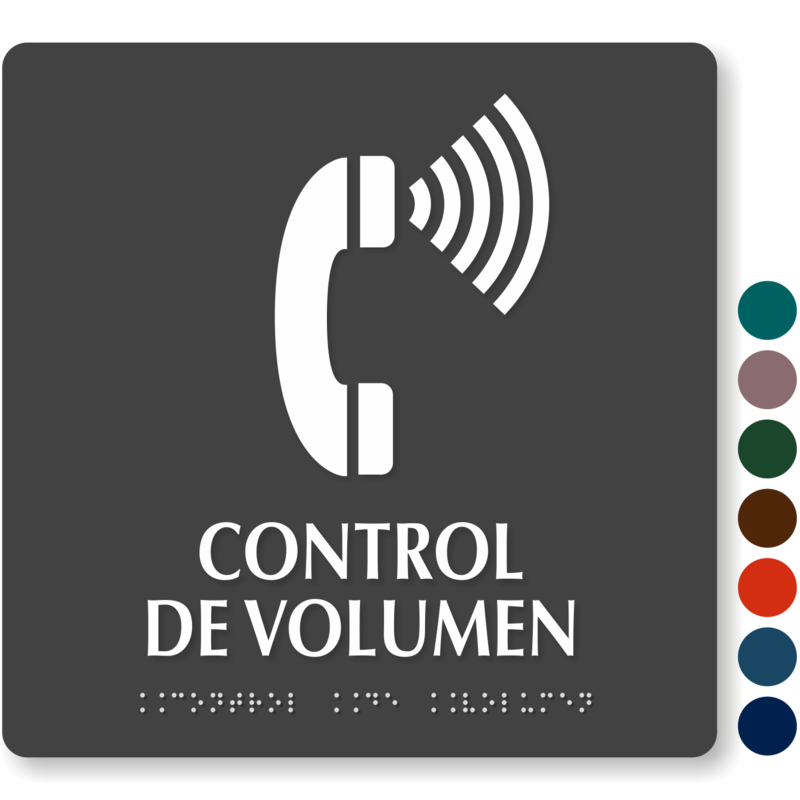 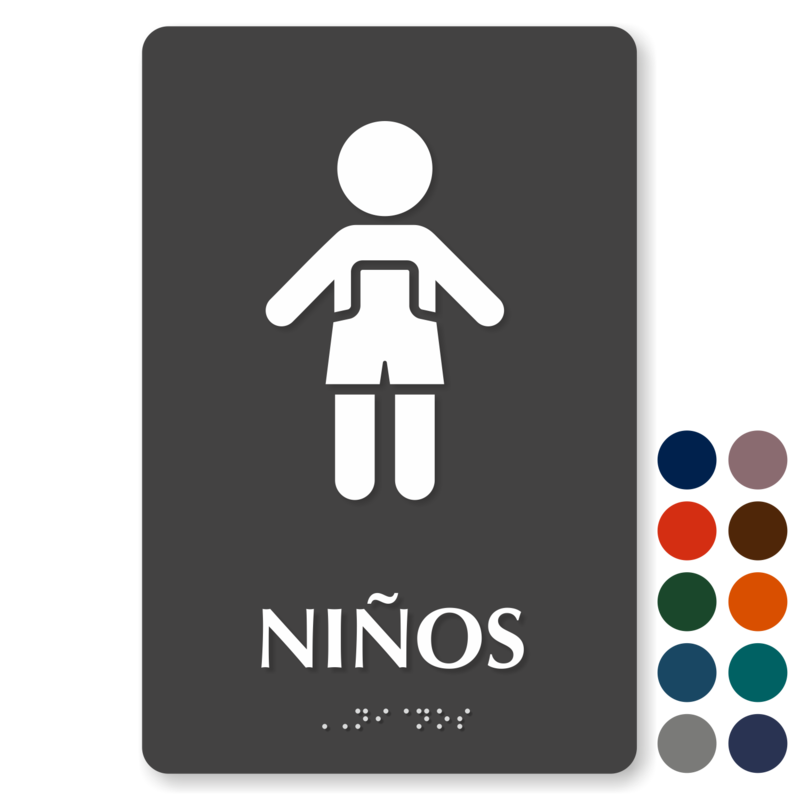 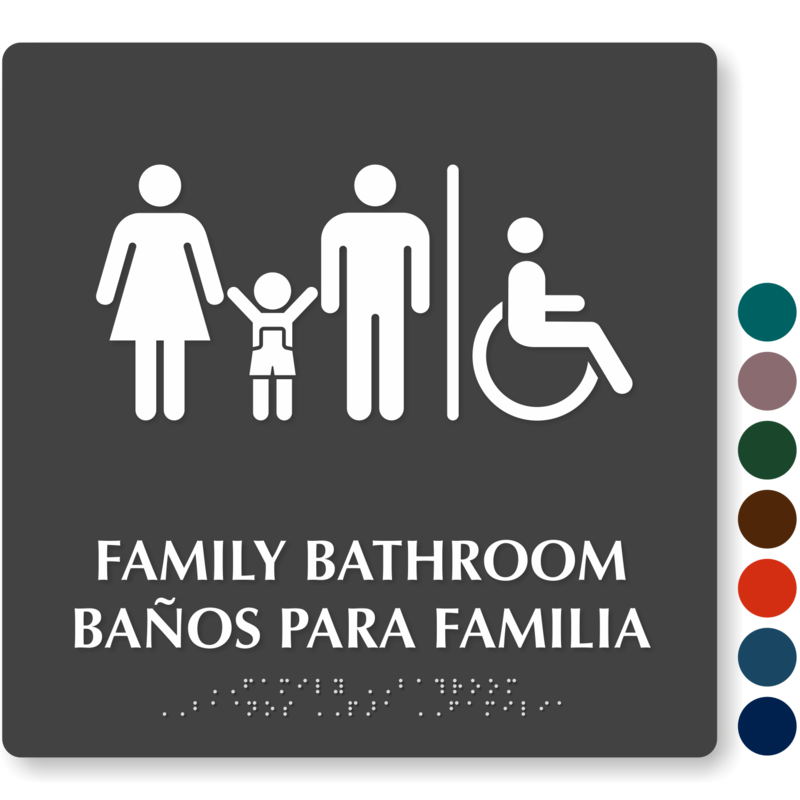 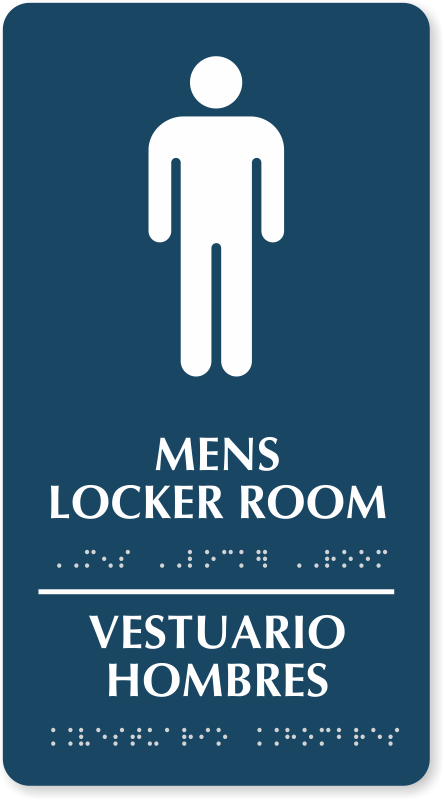 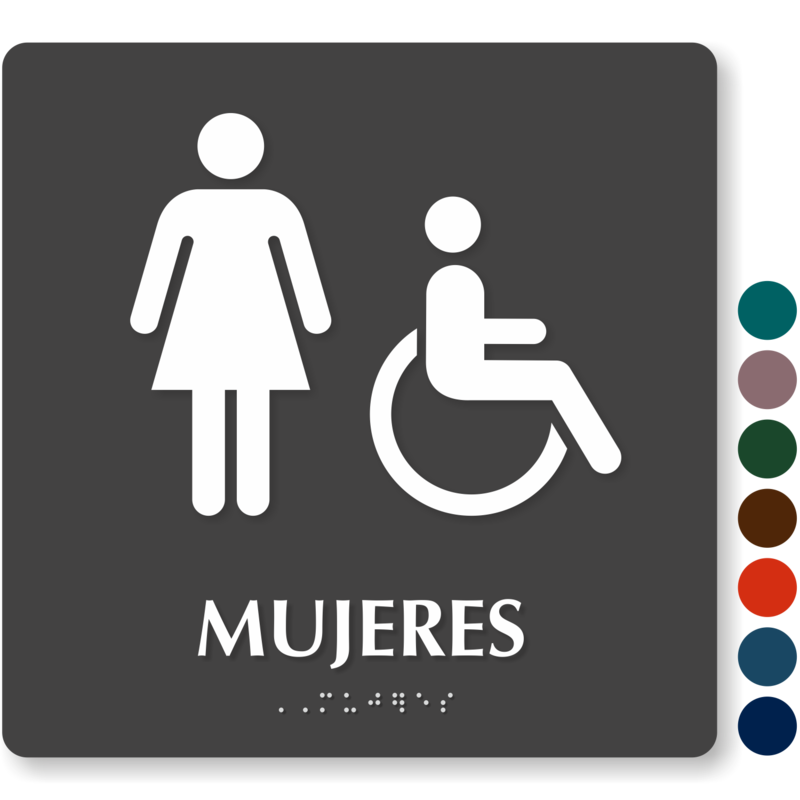 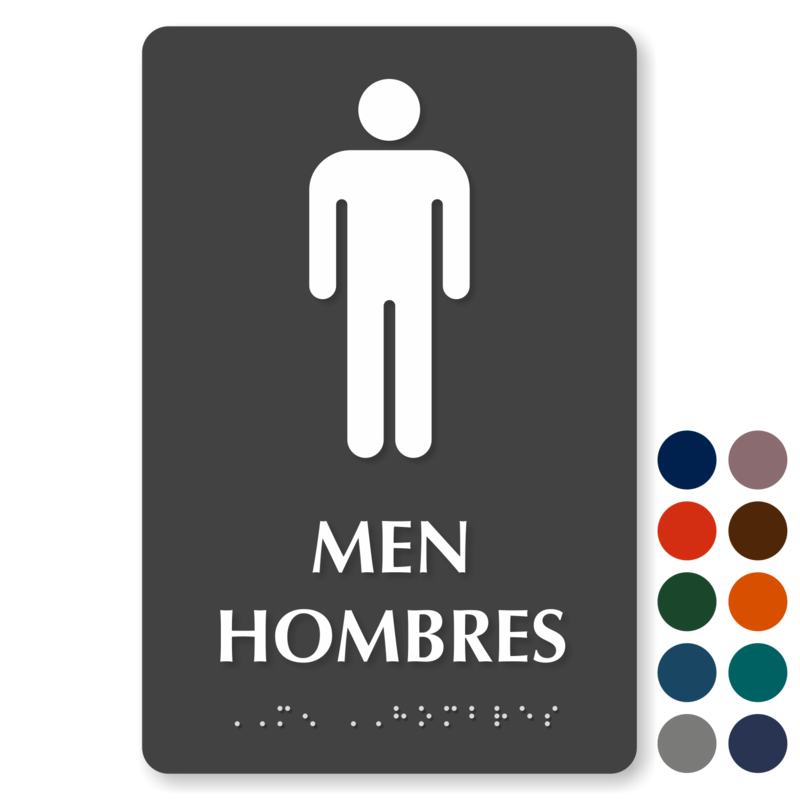 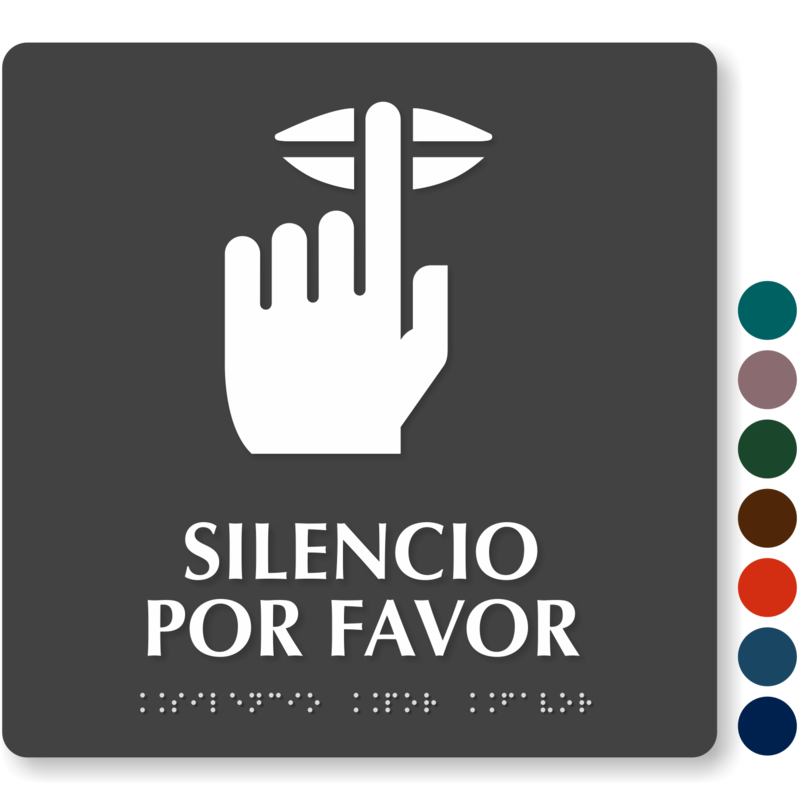 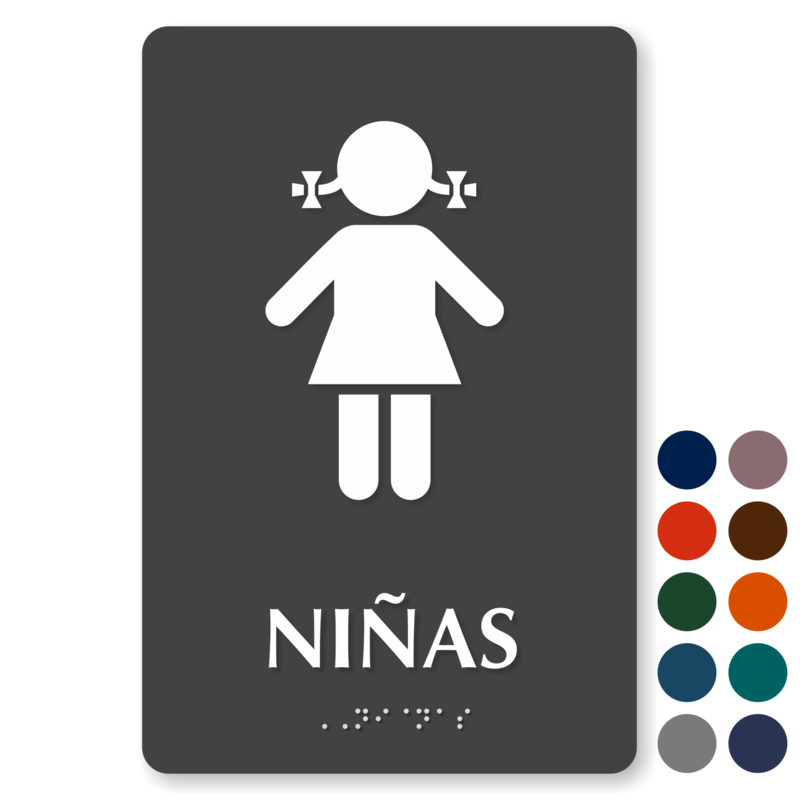 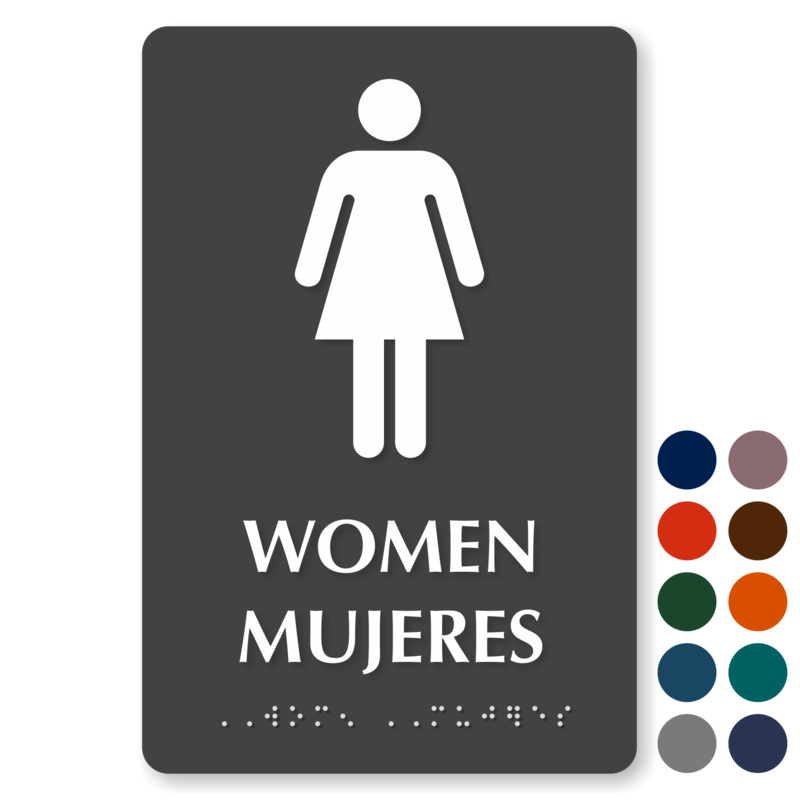 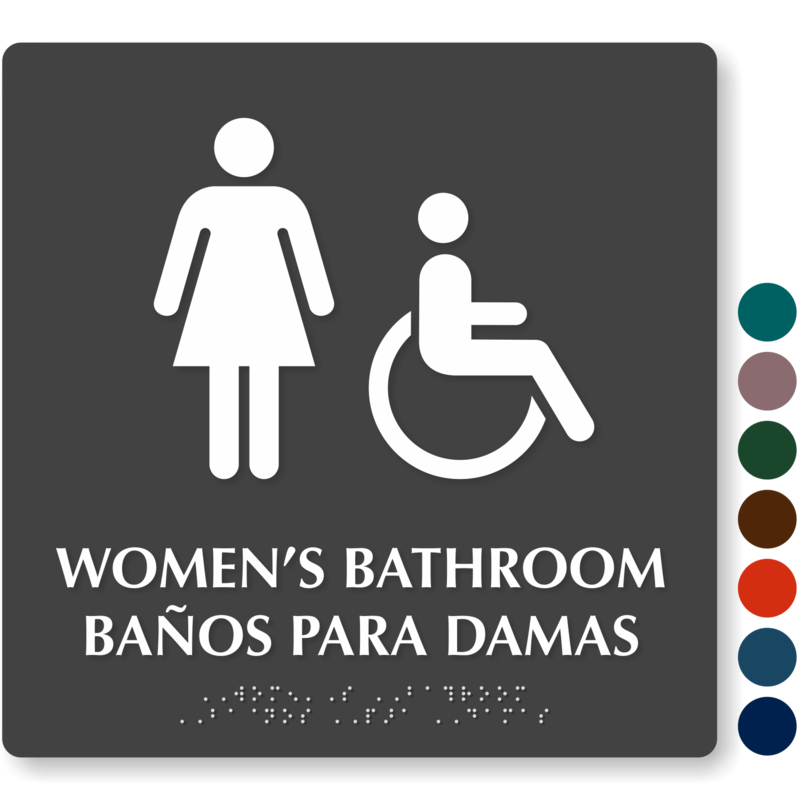 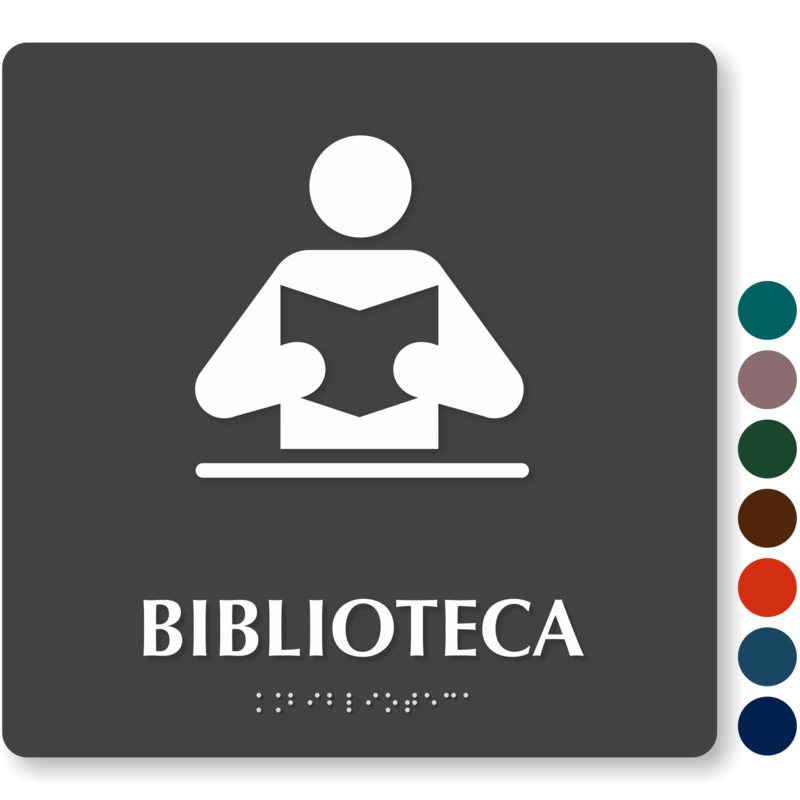 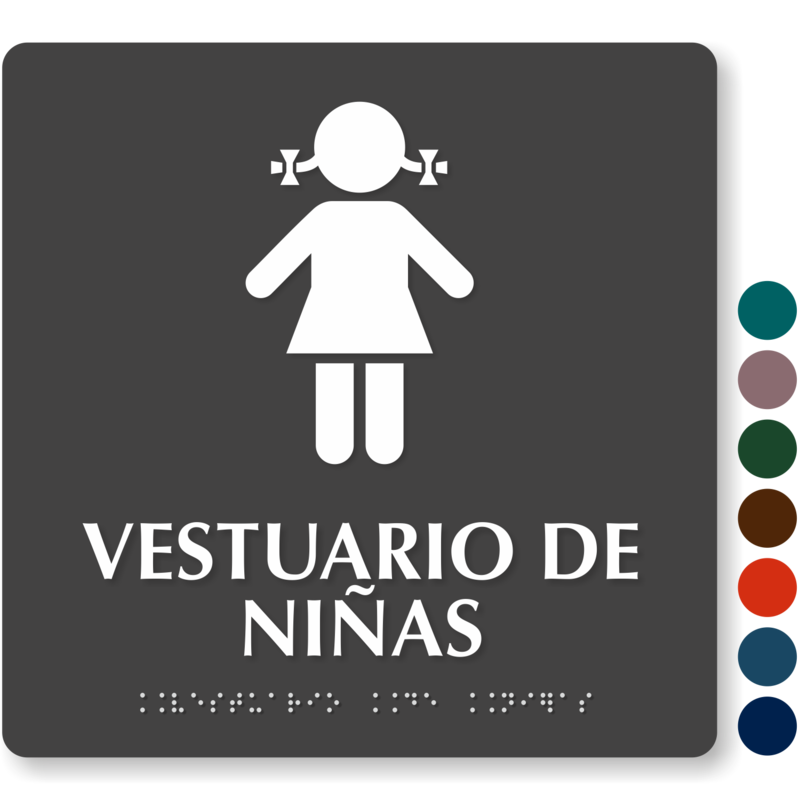 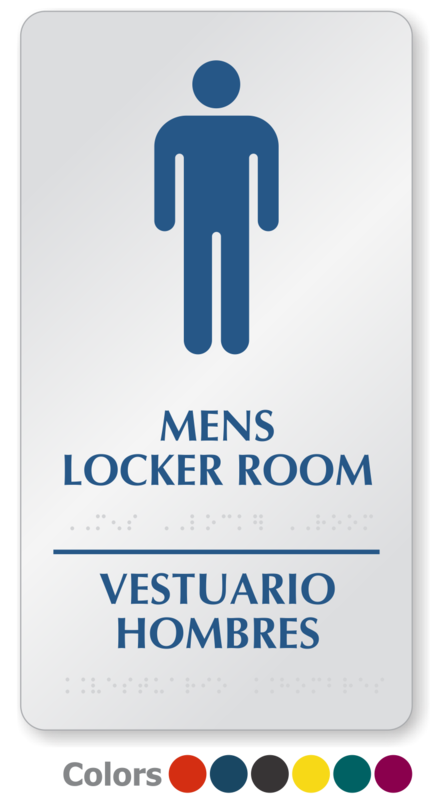 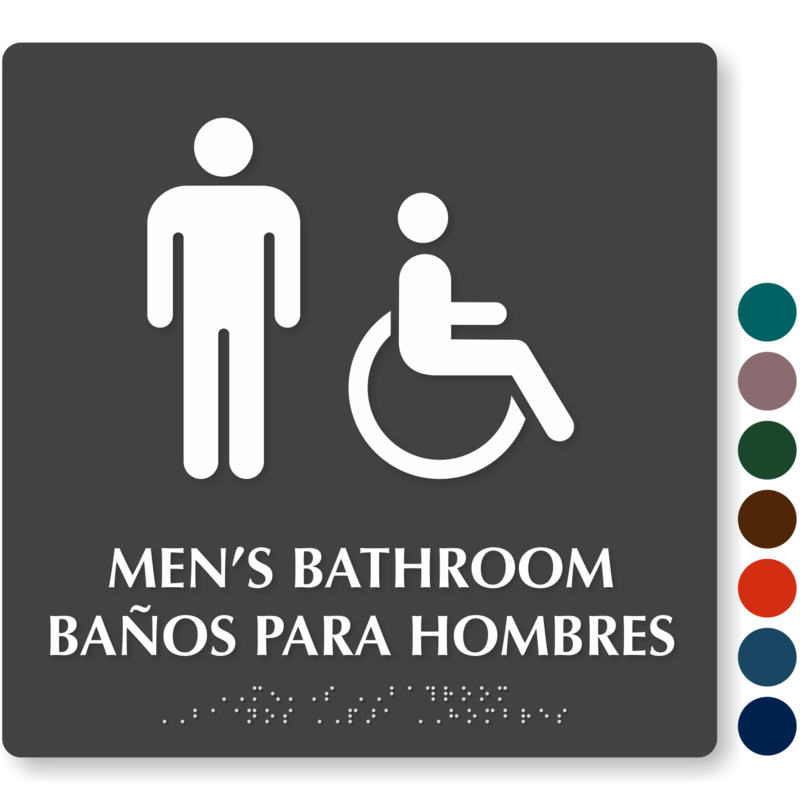 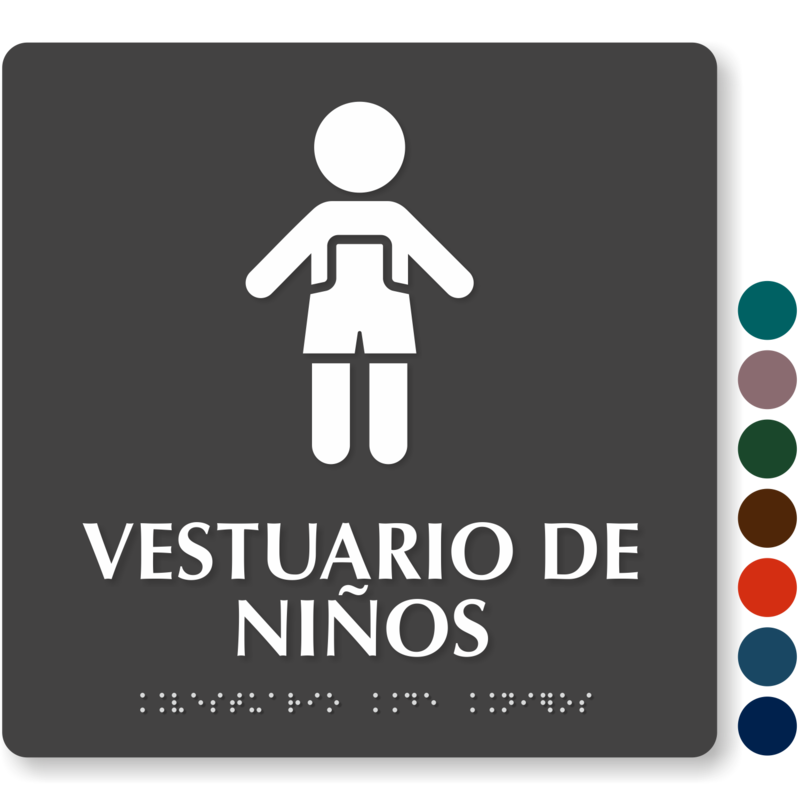 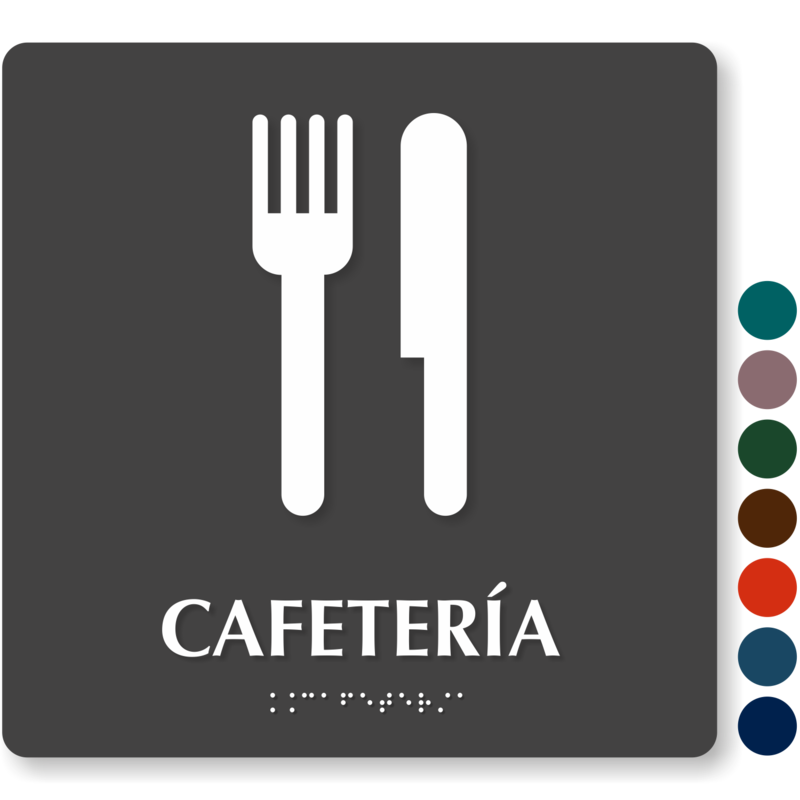 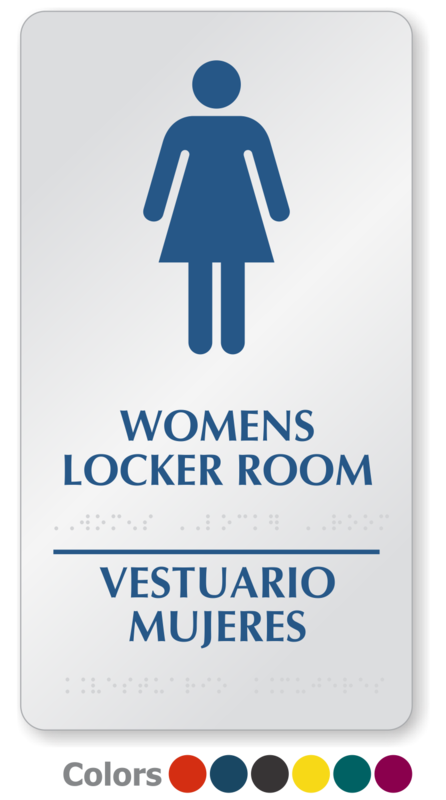 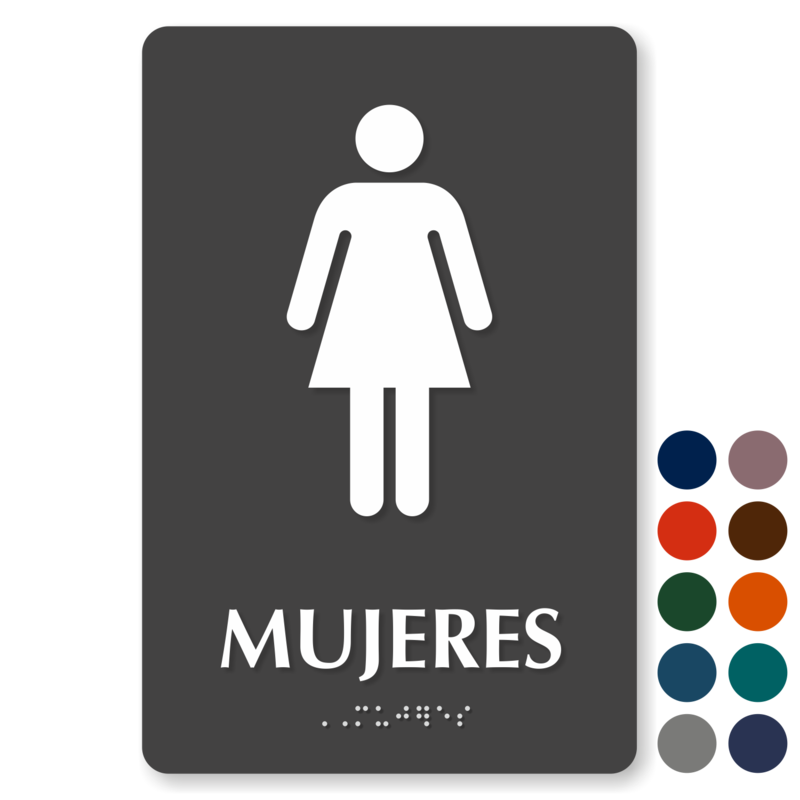 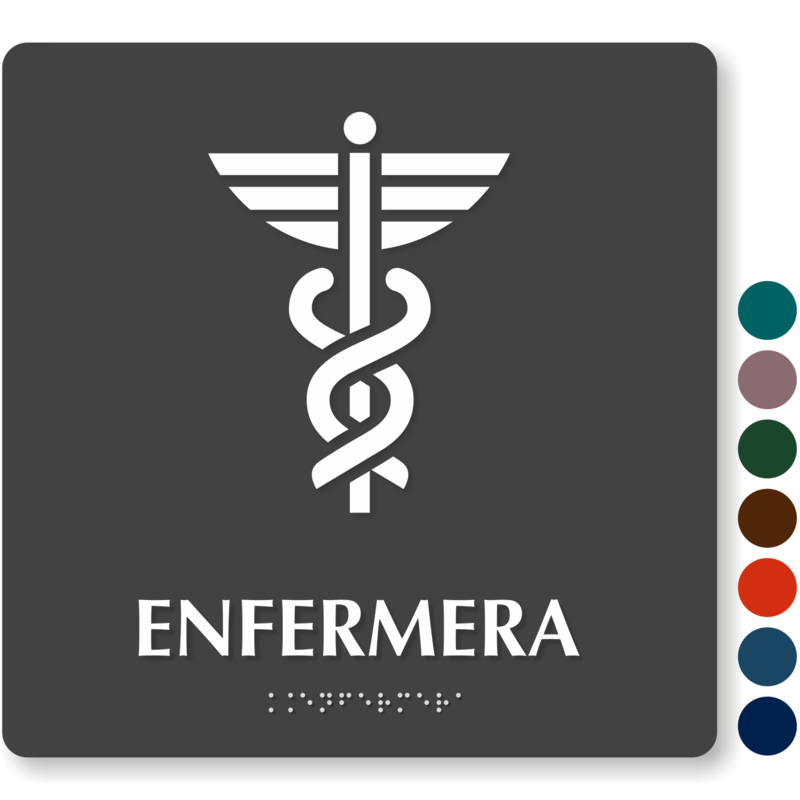 • Made using premium quality materials, our Bilingual Braille Signs withstand heat, chemical spills, abrasion, scratch, fading and more. 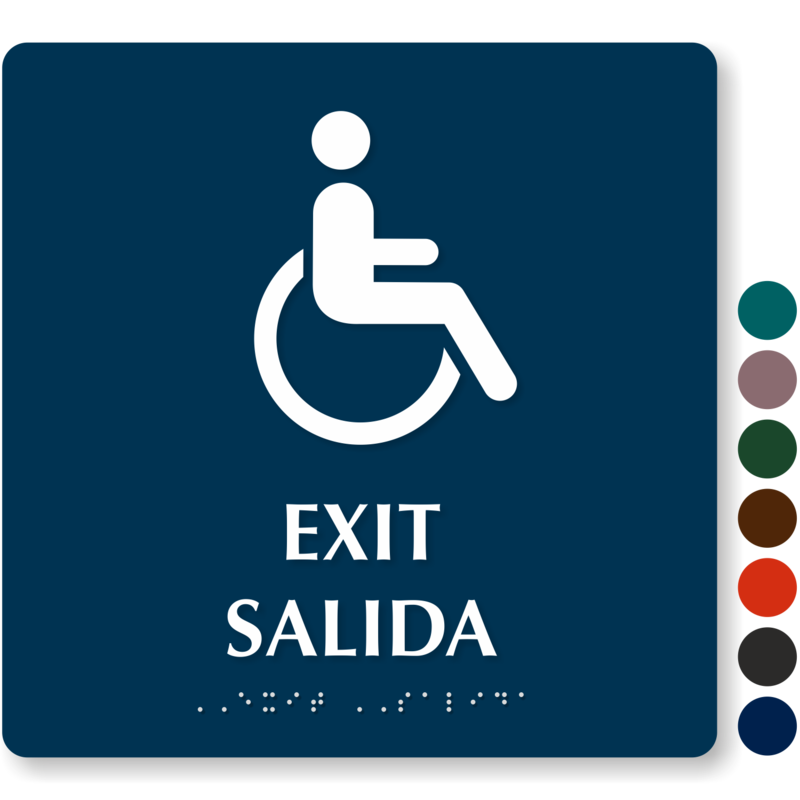 • Choose from more than 10 different colors to match with your decor.